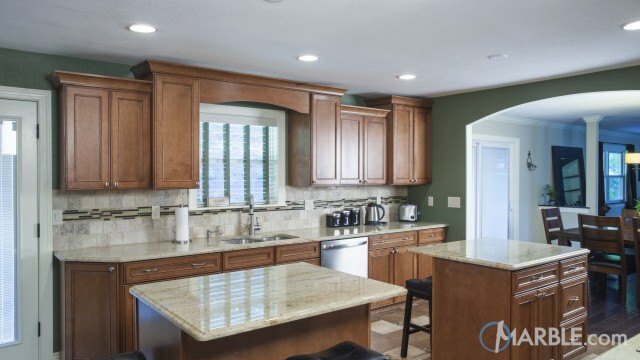 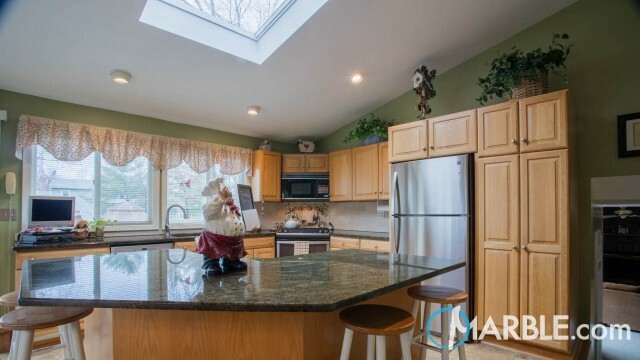 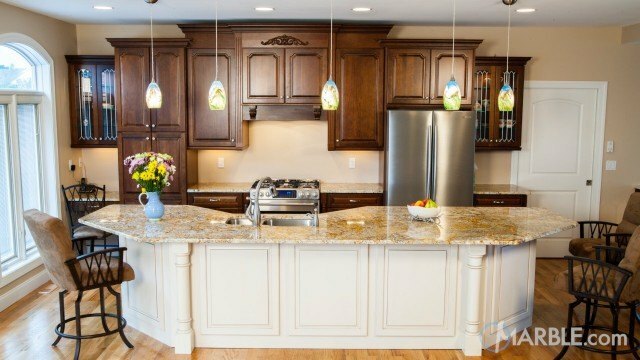 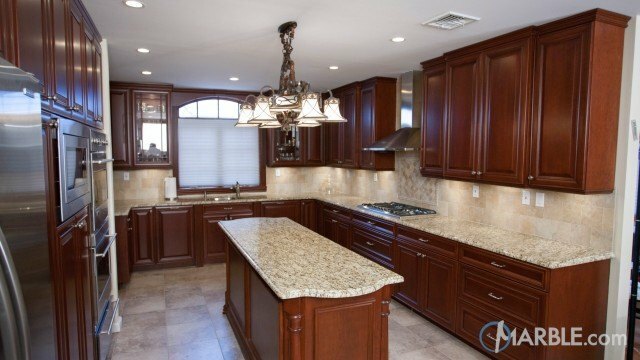 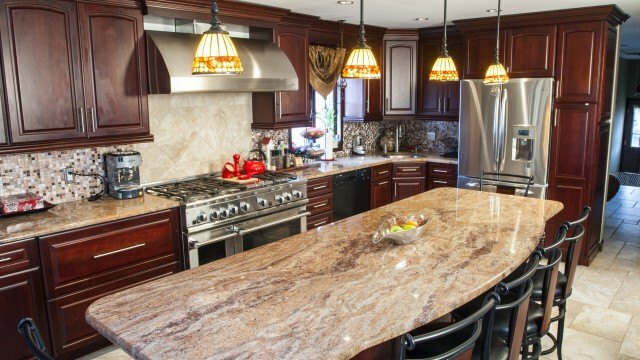 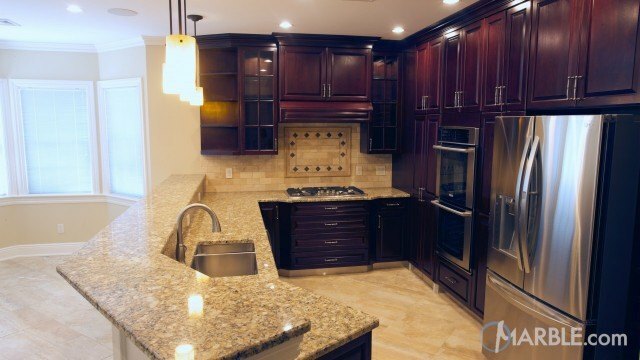 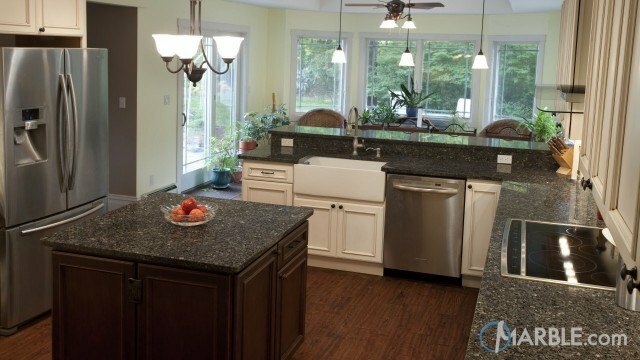 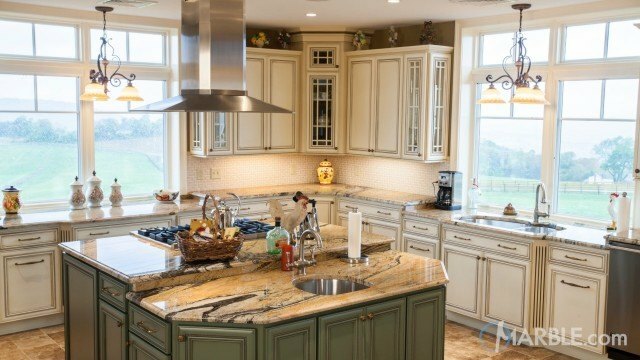 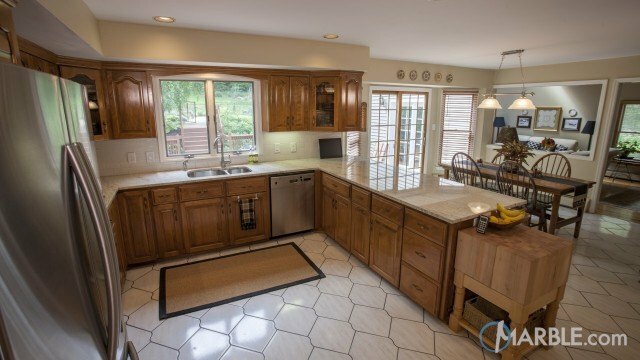 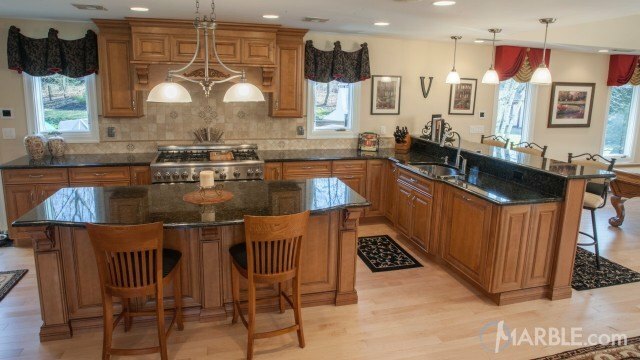 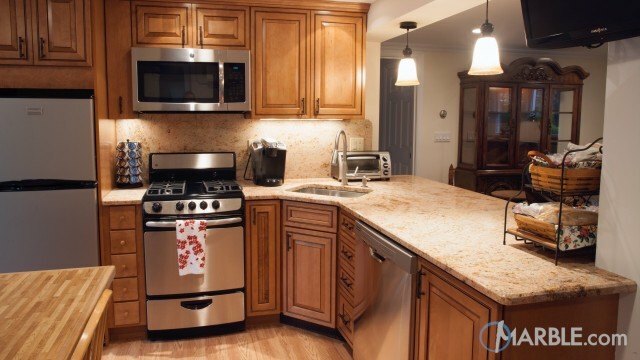 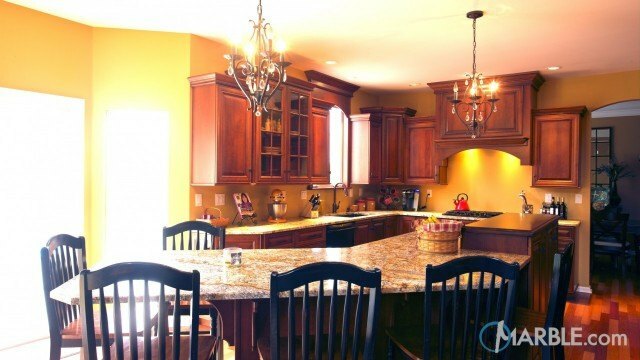 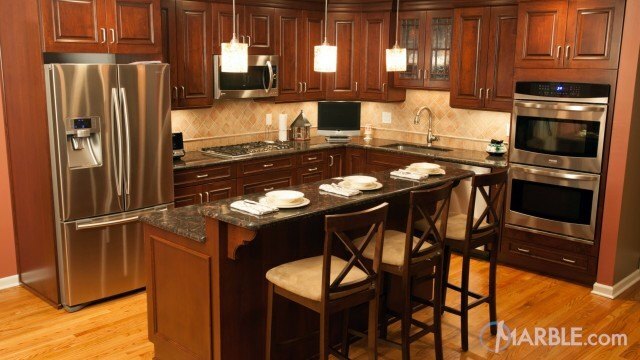 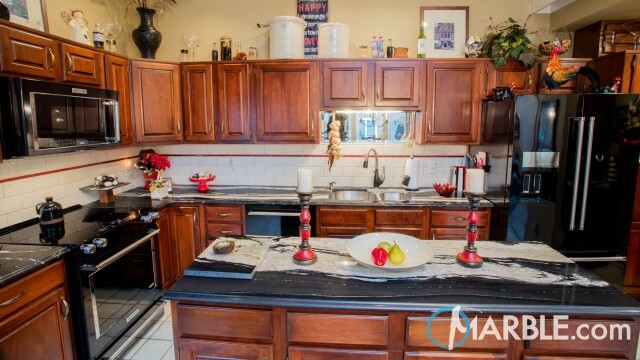 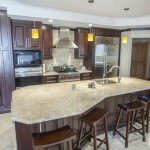 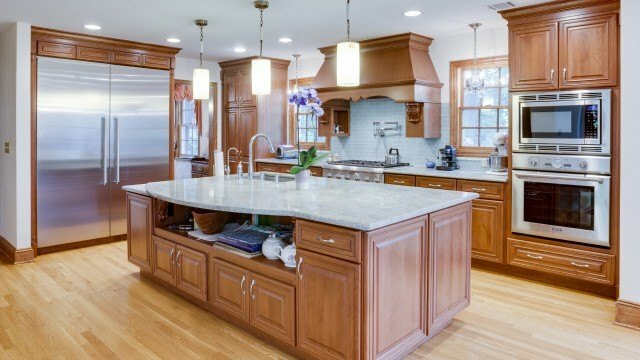 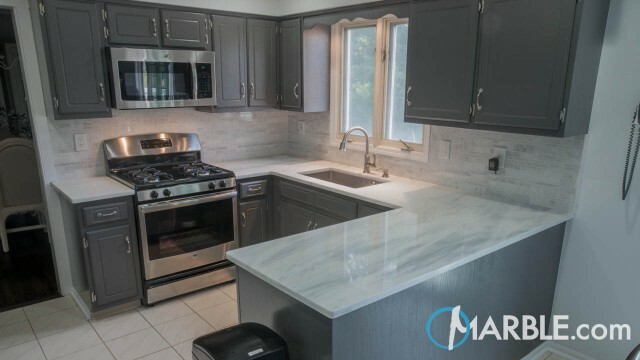 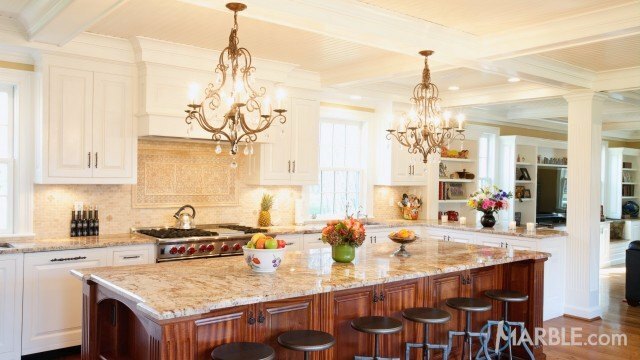 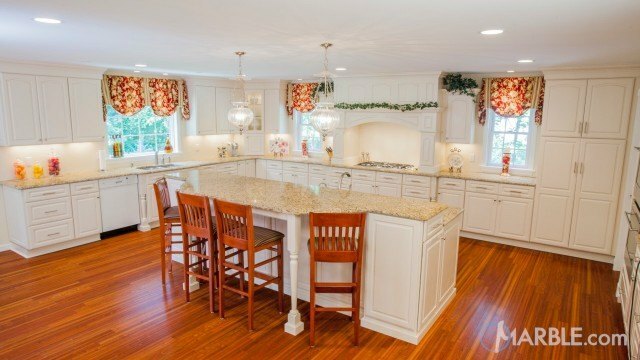 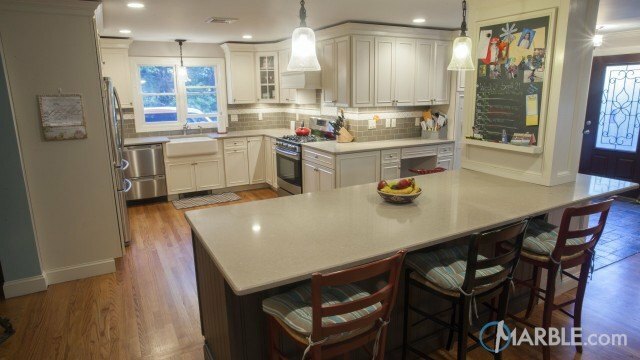 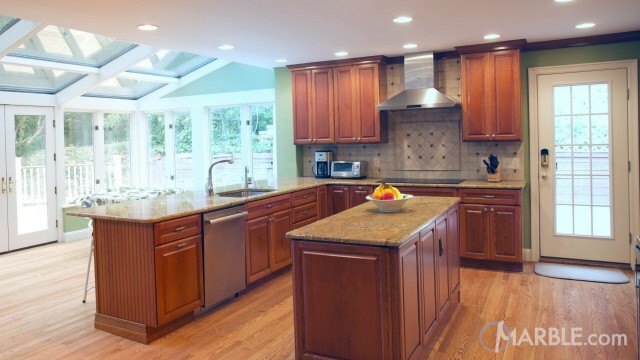 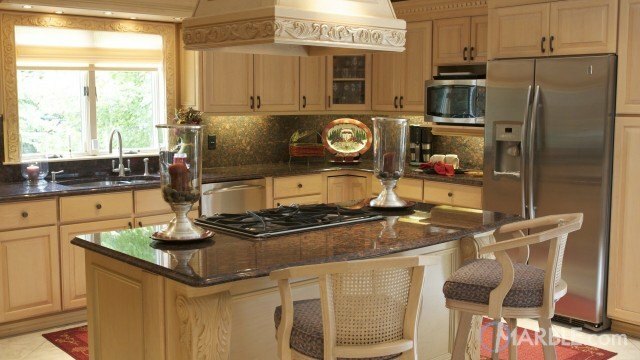 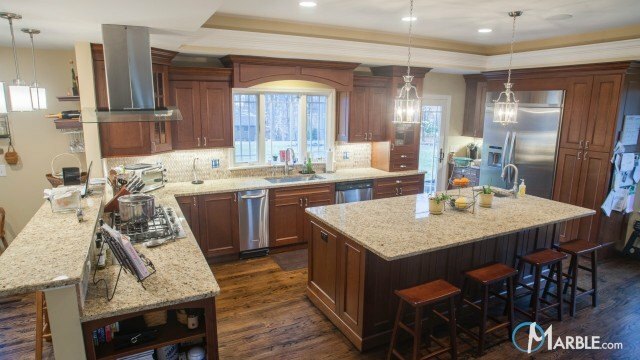 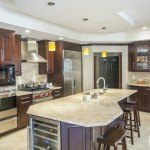 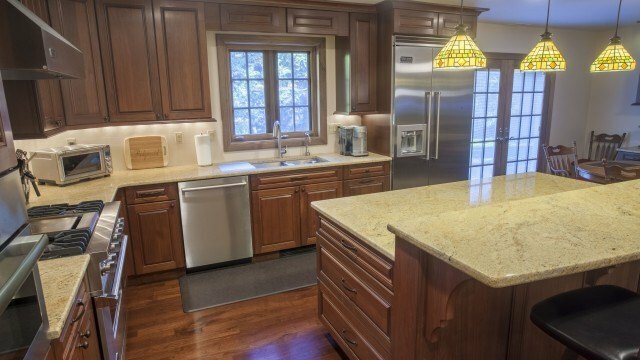 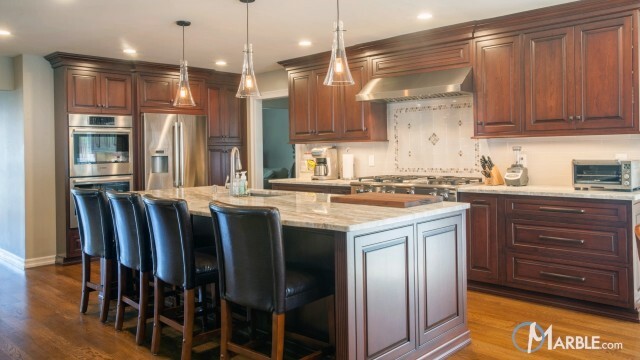 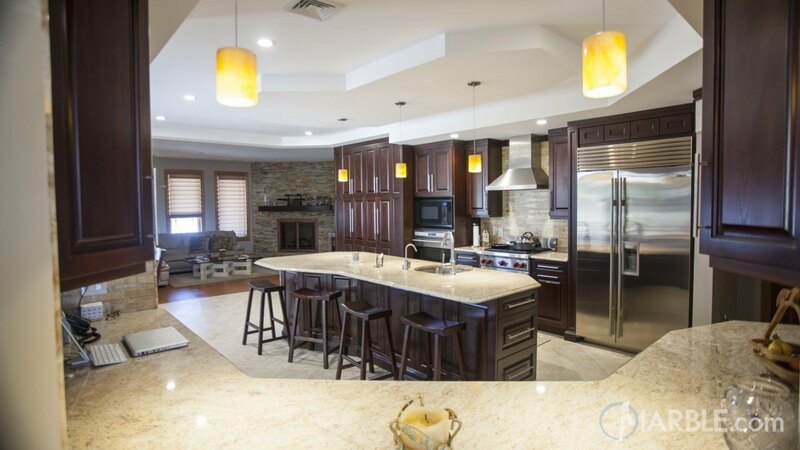 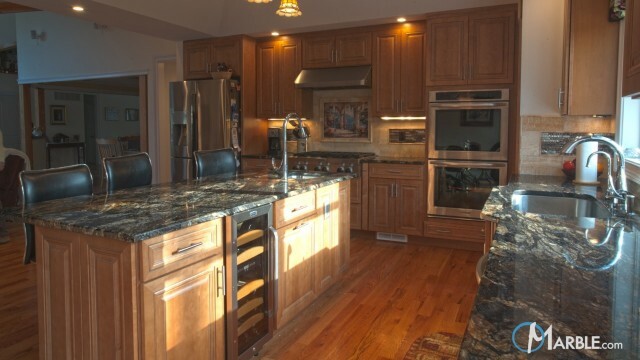 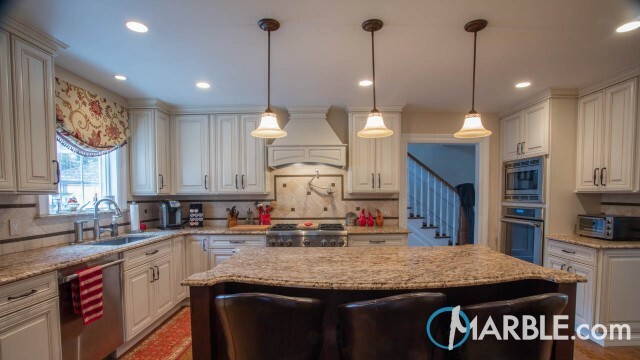 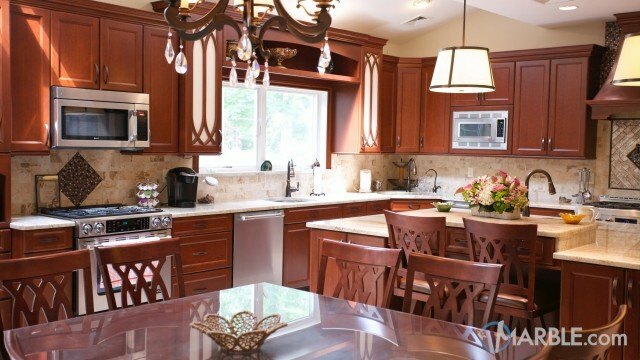 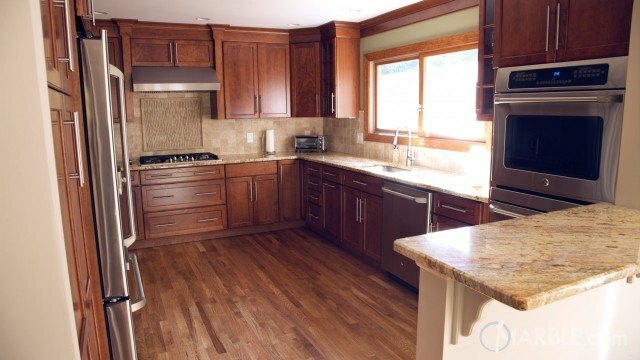 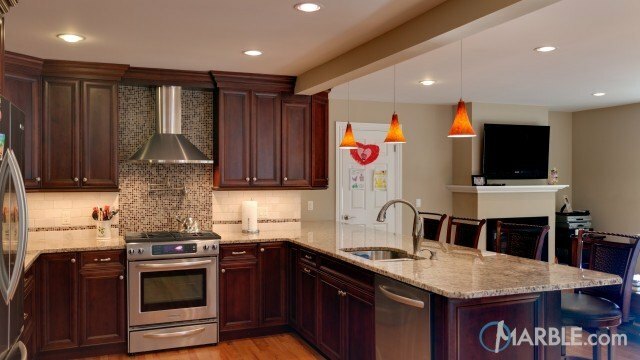 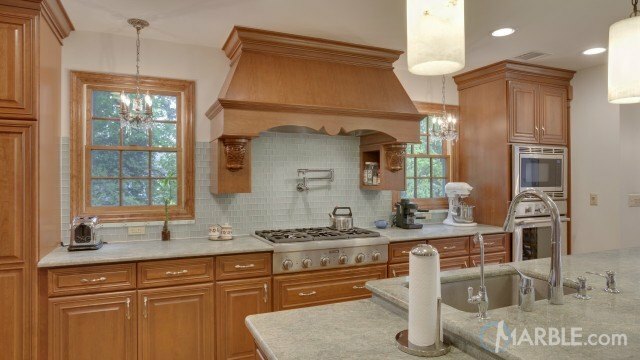 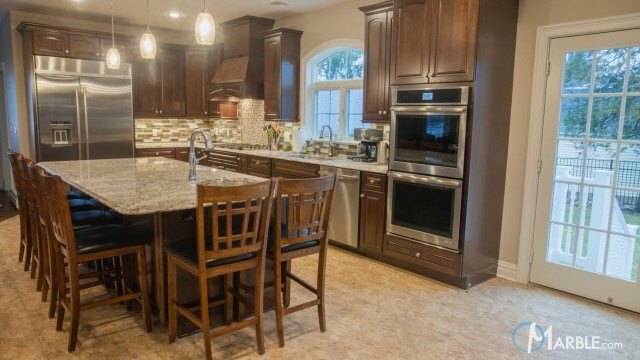 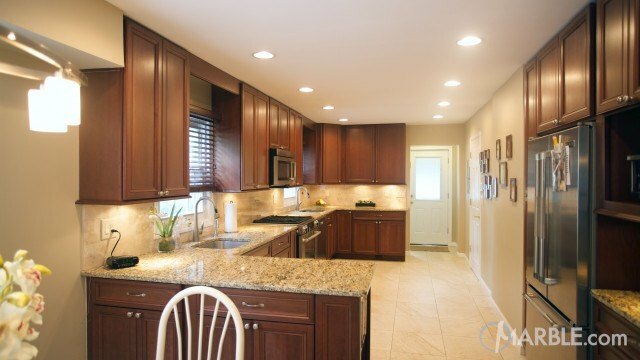 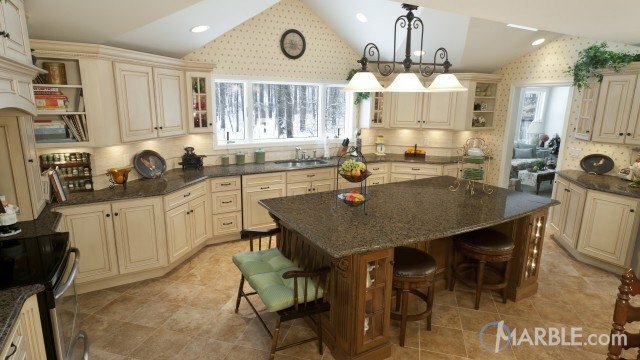 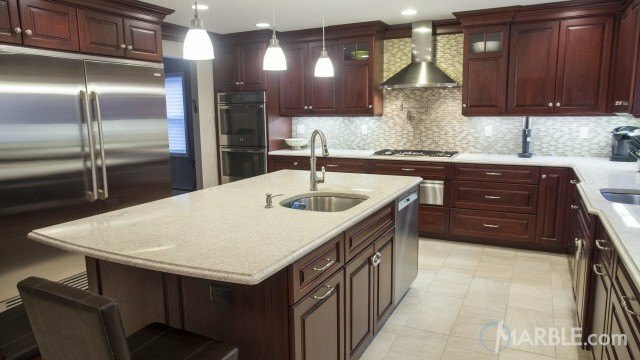 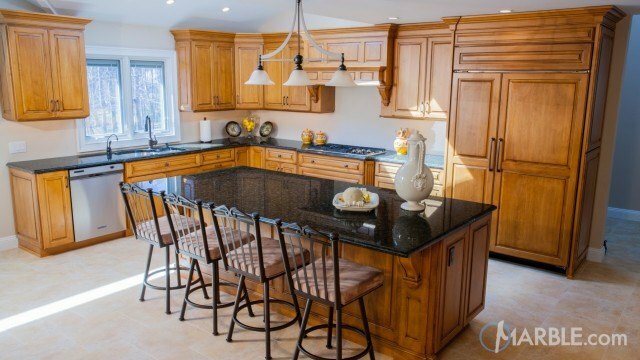 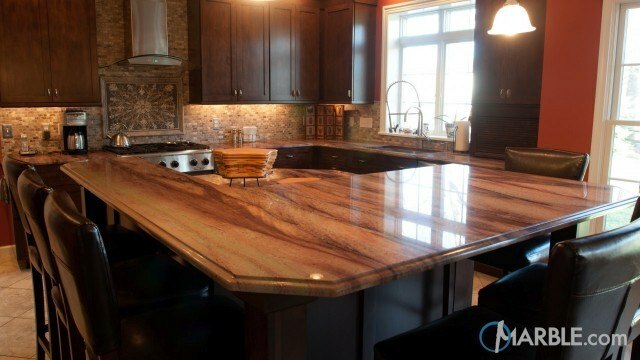 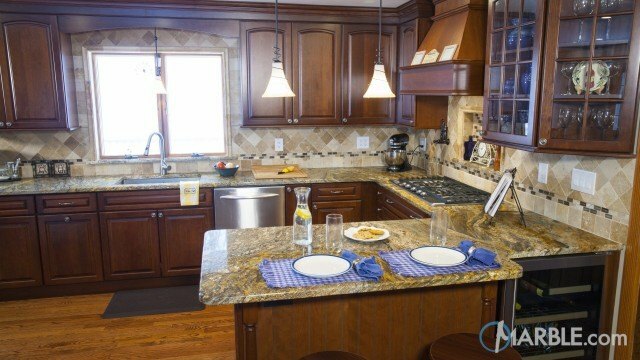 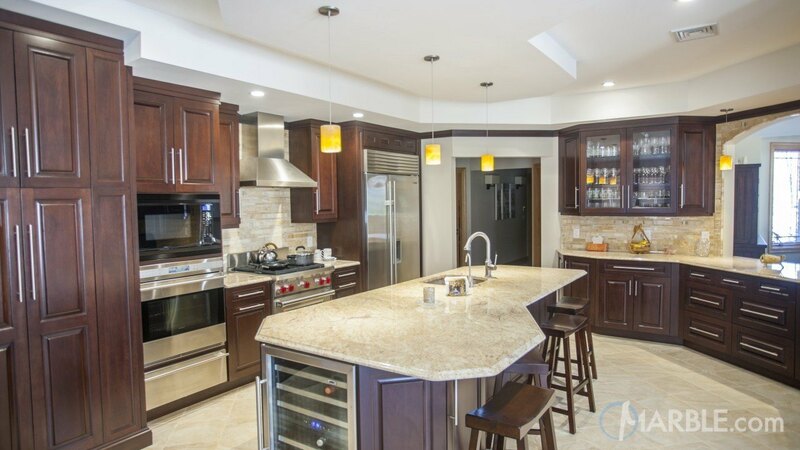 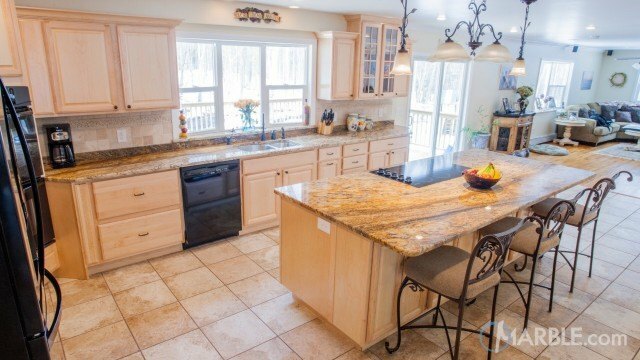 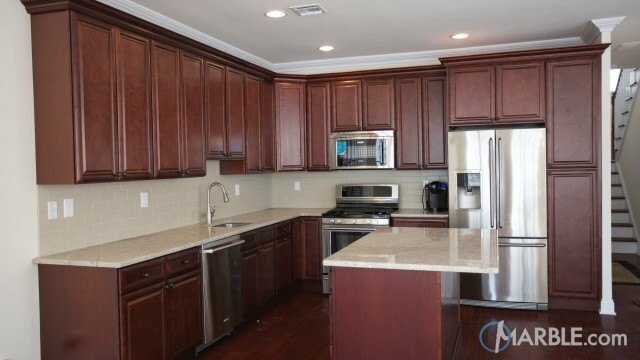 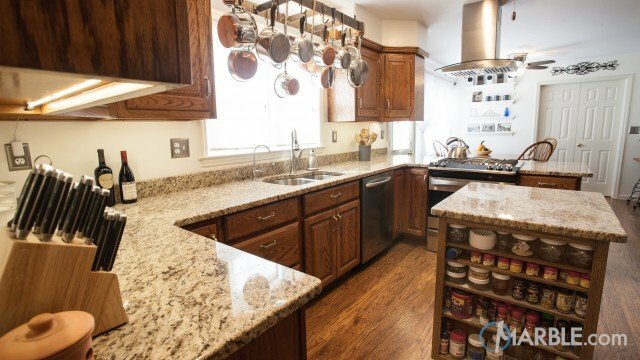 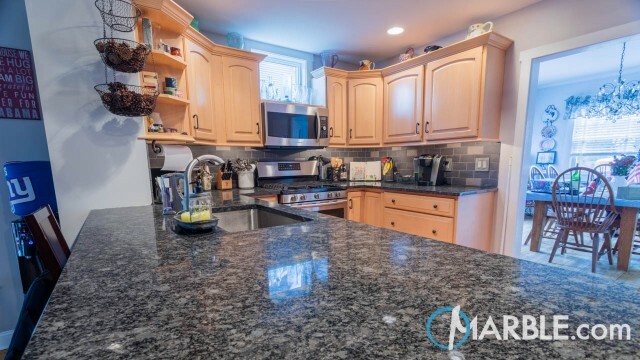 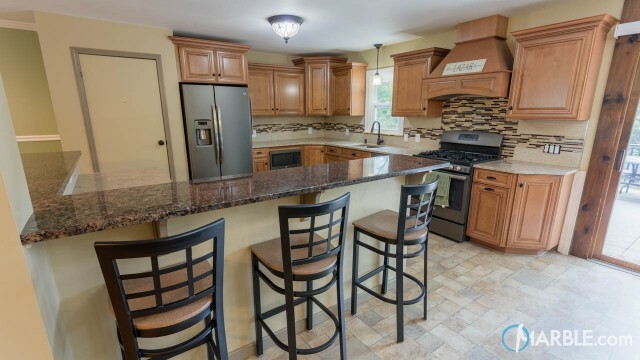 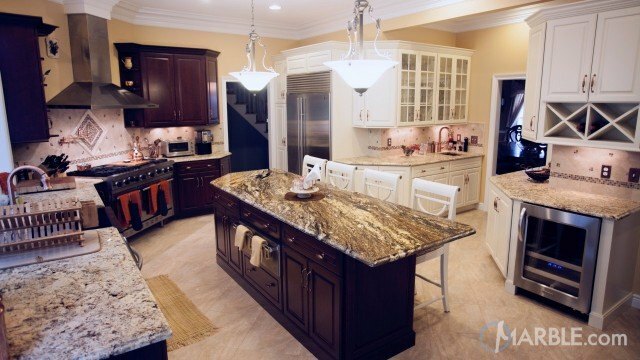 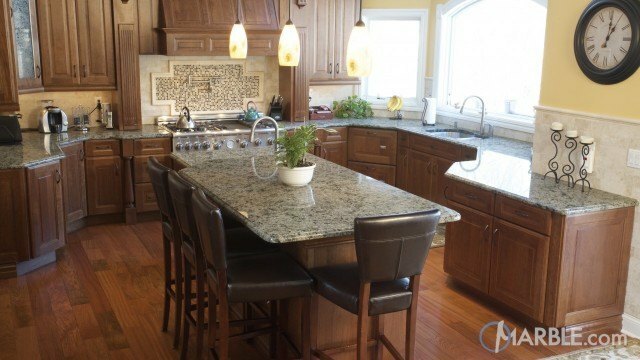 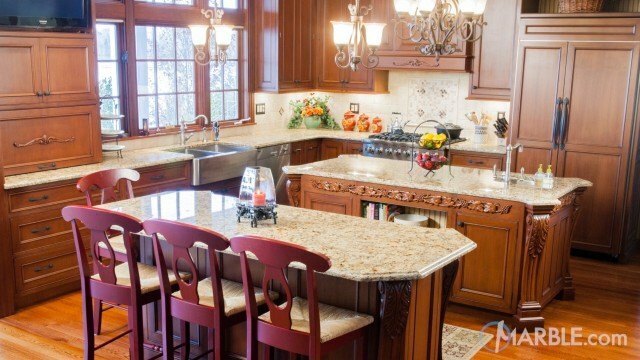 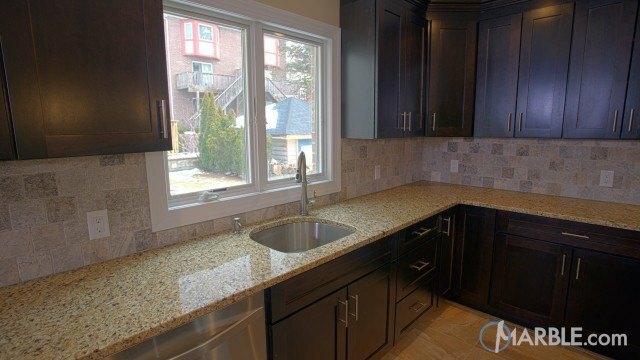 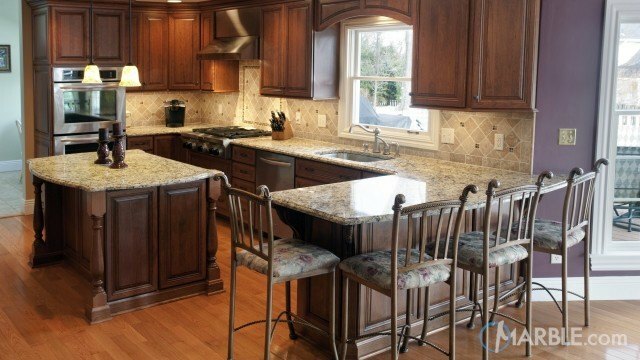 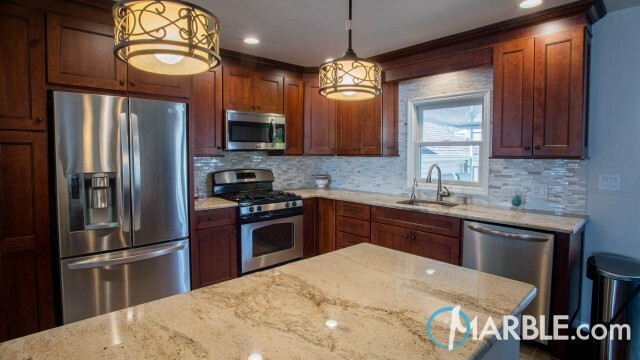 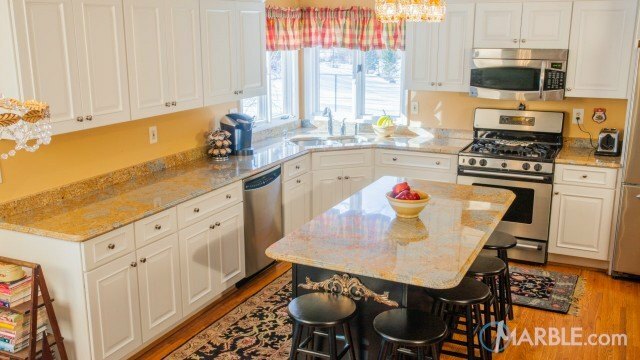 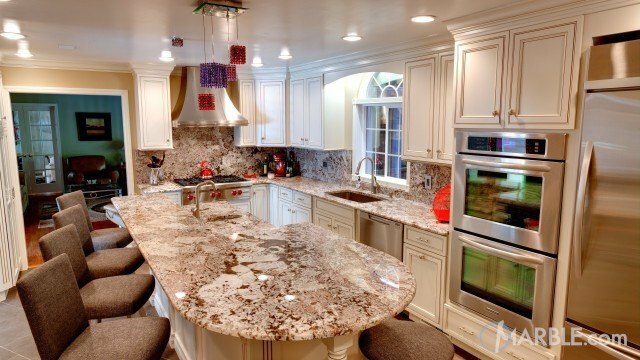 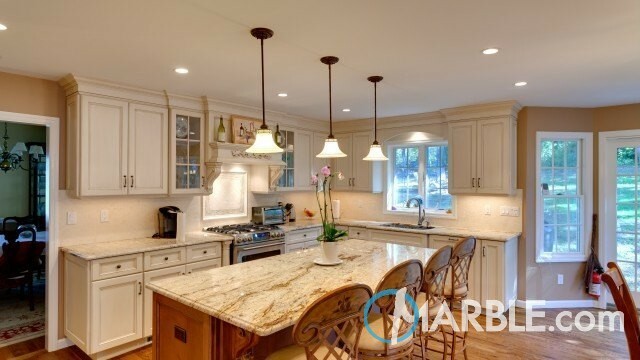 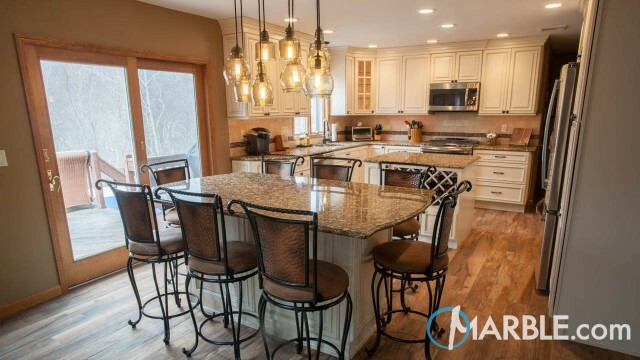 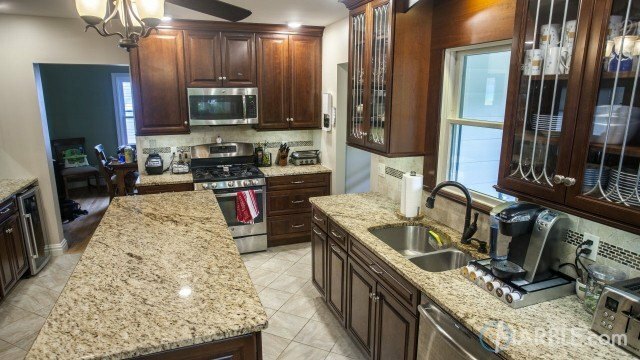 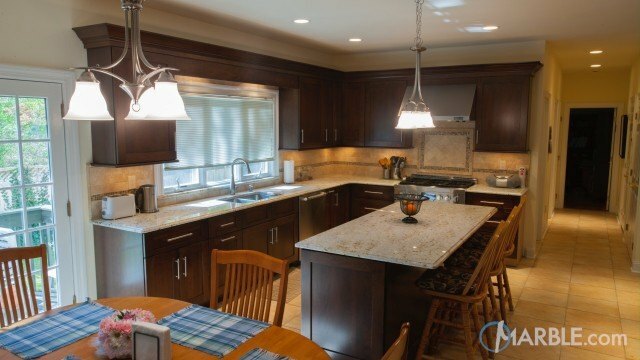 This large kitchen features dark cherry cabinets with a light colored Colonial Dream counter top. 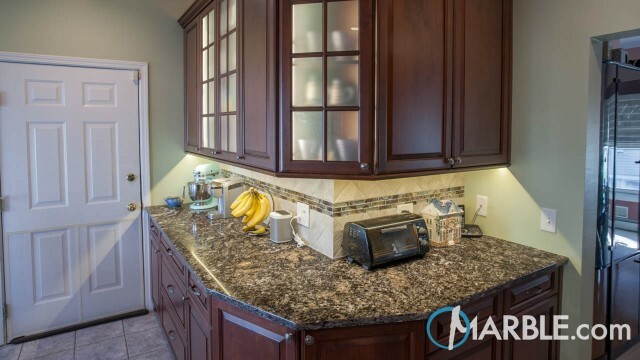 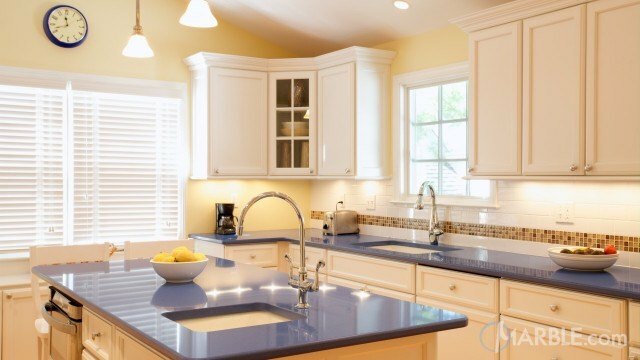 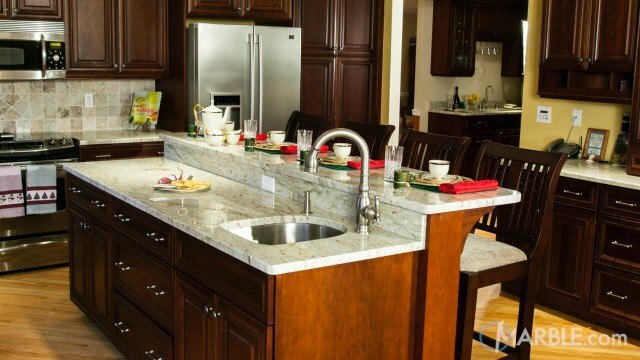 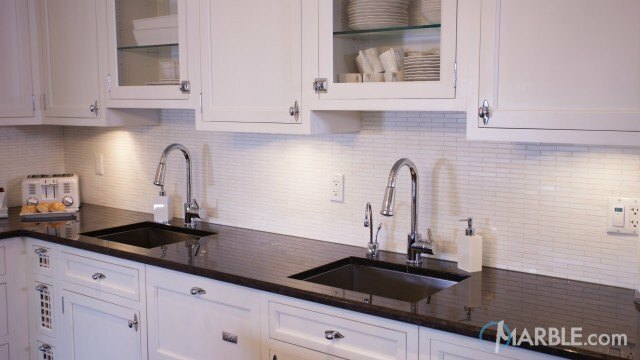 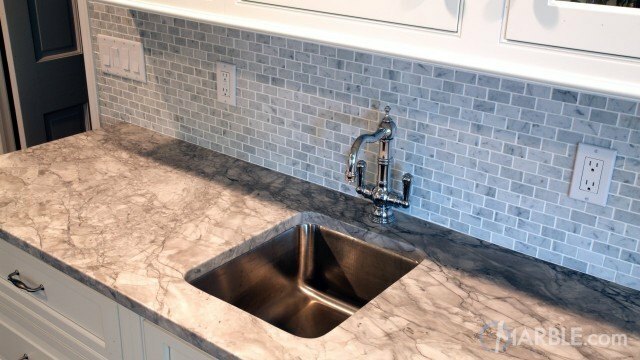 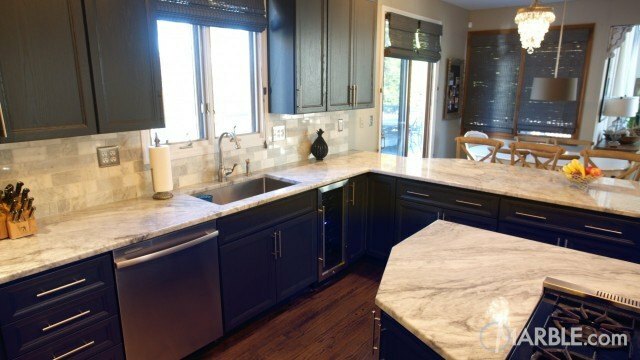 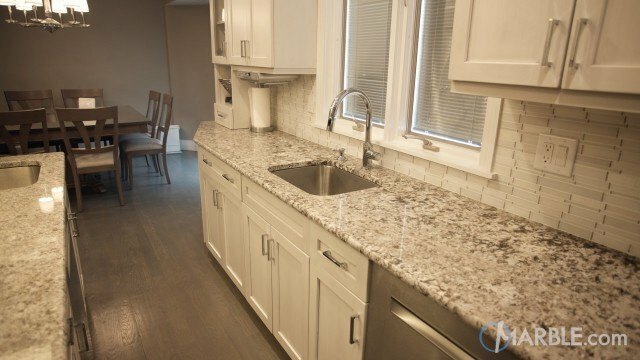 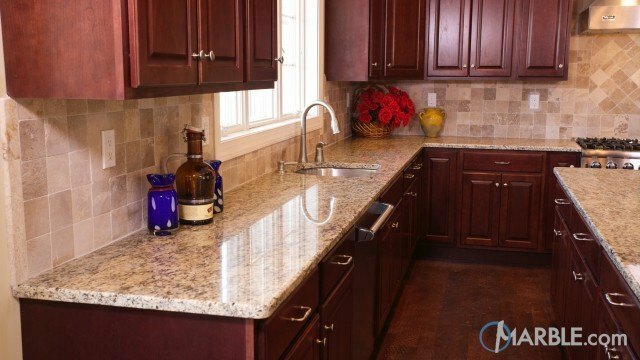 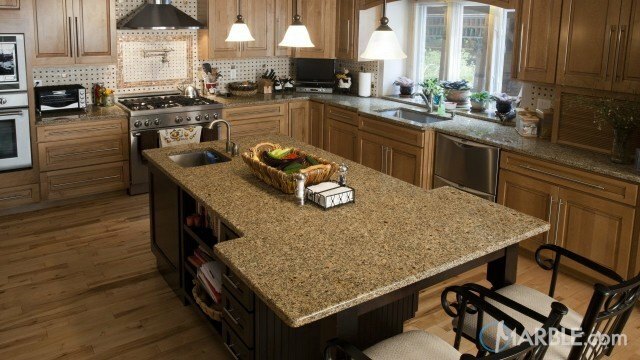 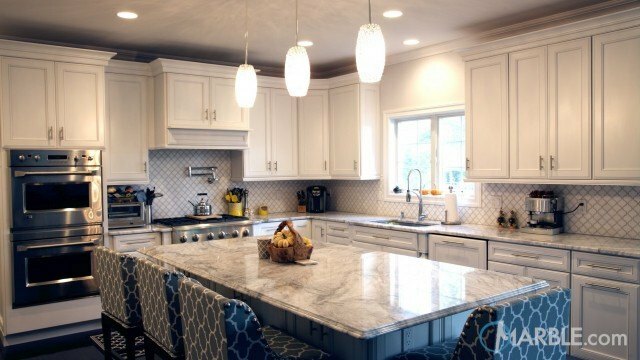 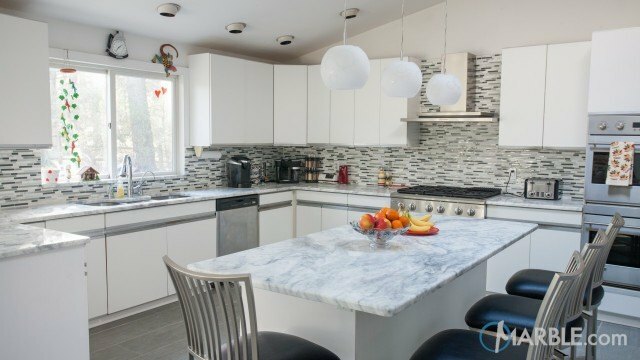 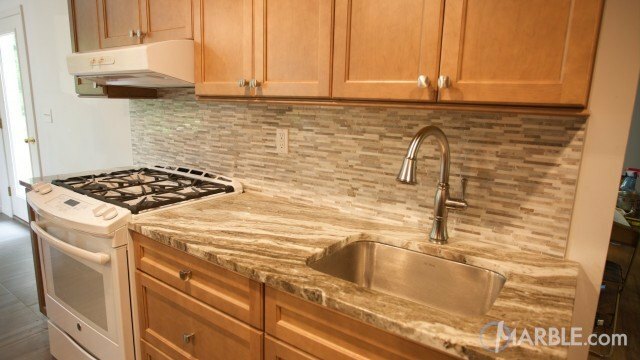 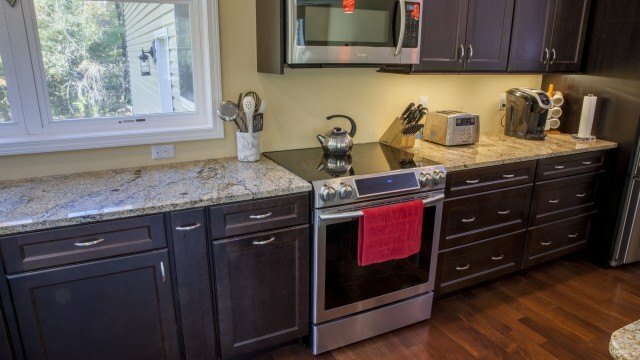 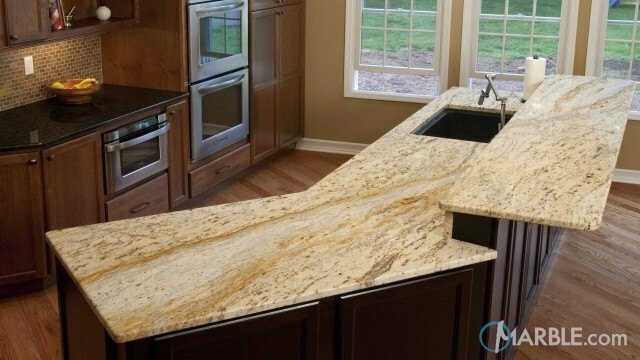 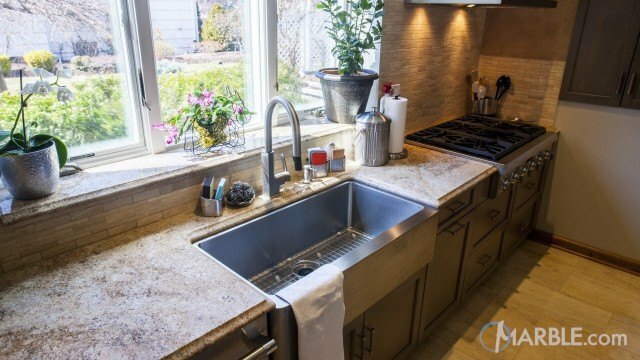 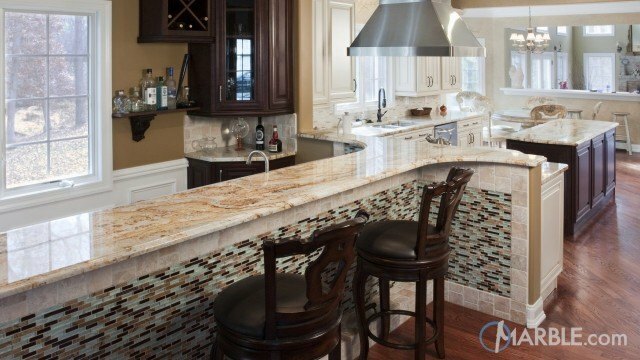 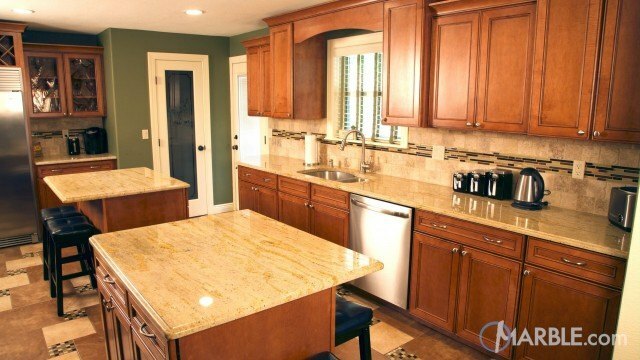 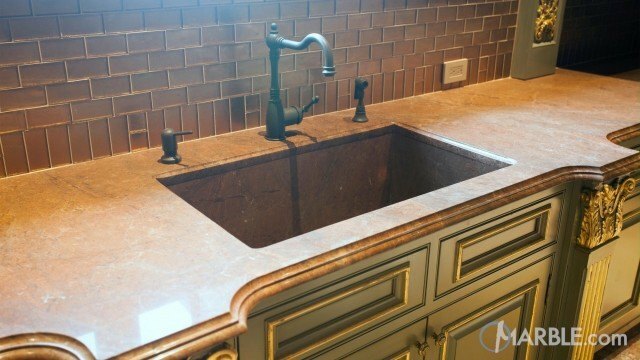 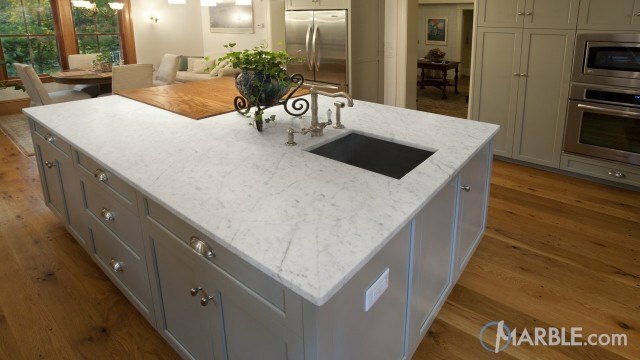 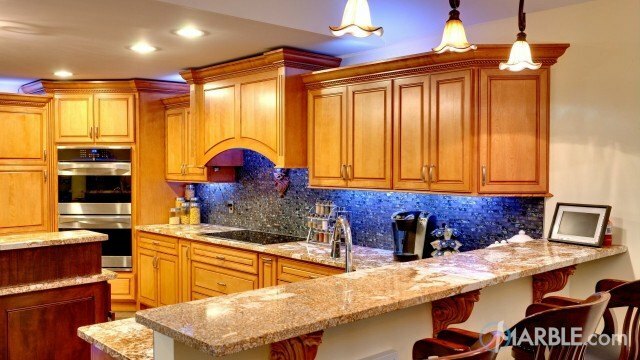 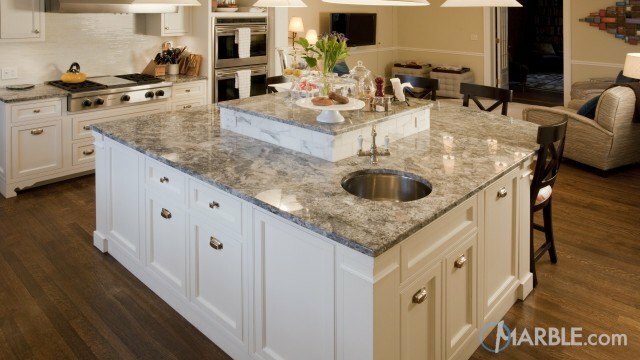 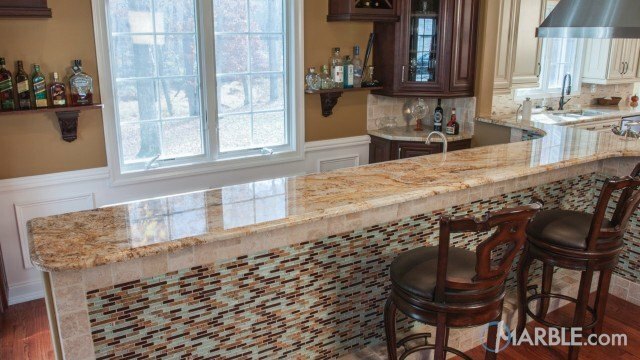 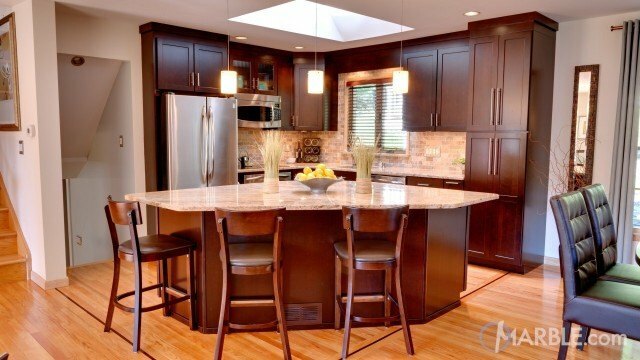 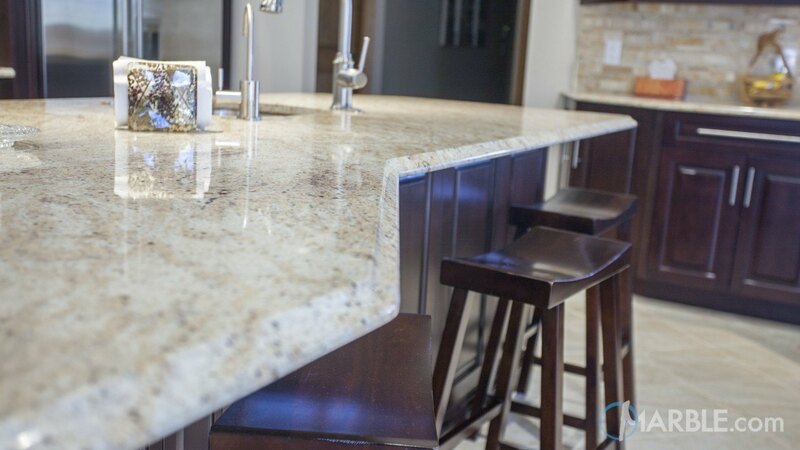 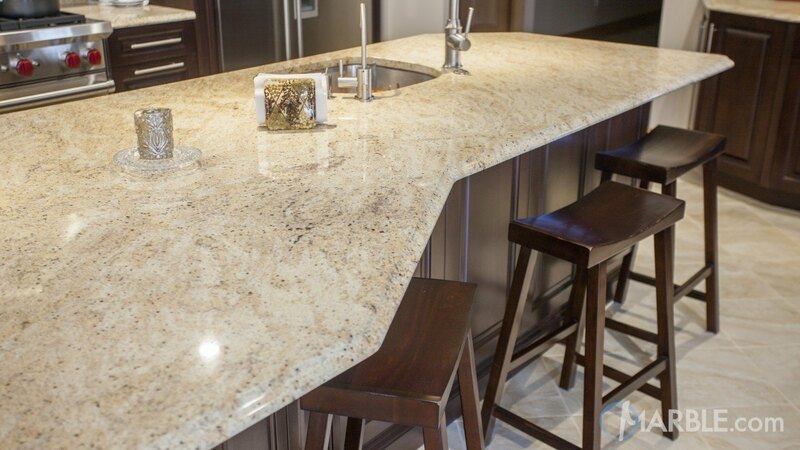 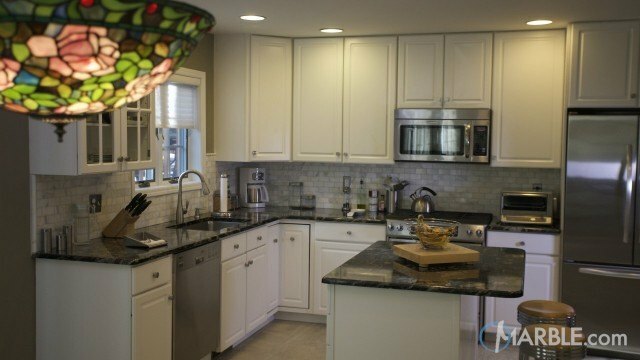 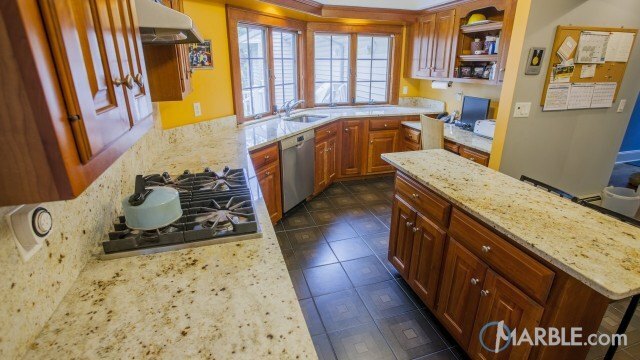 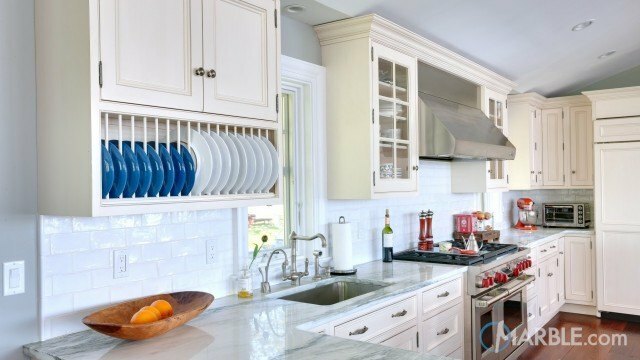 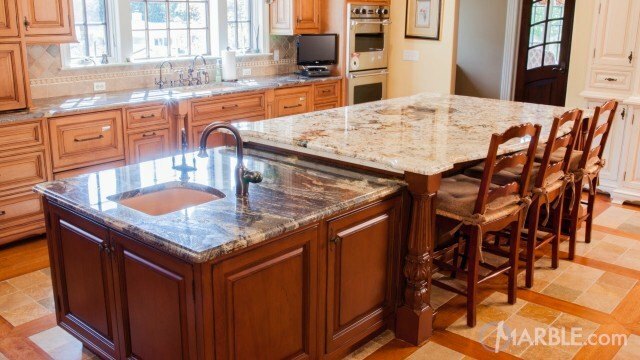 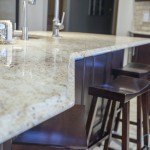 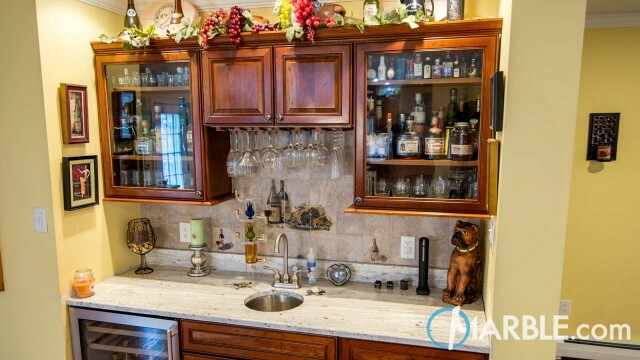 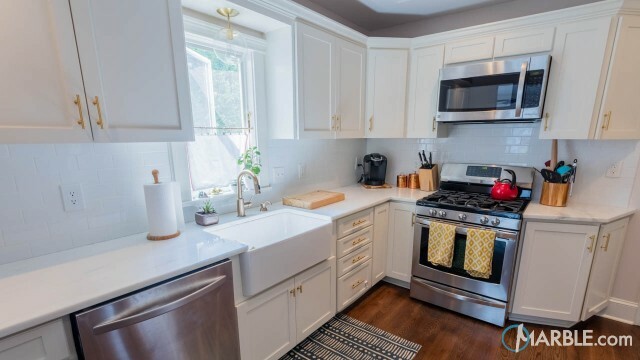 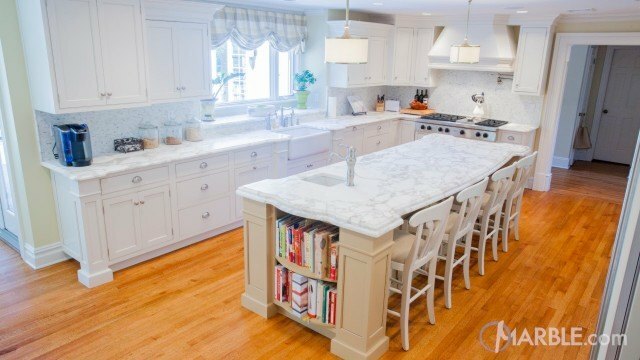 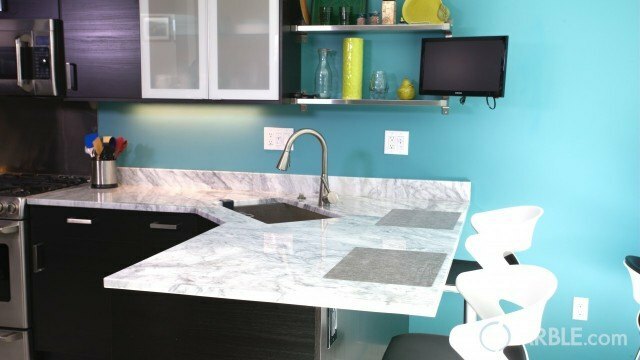 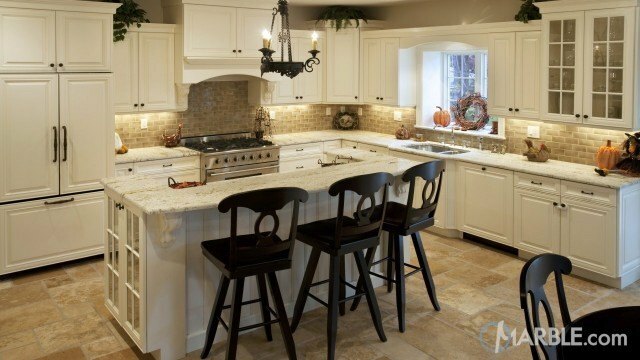 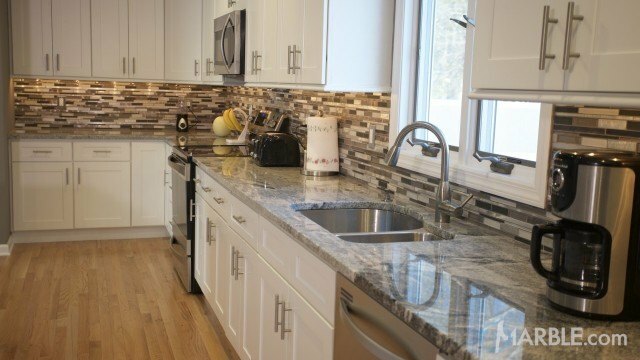 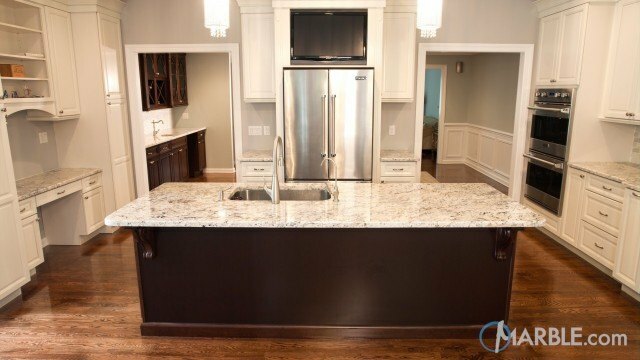 Lots of counter top space is utilized throughout the kitchen. 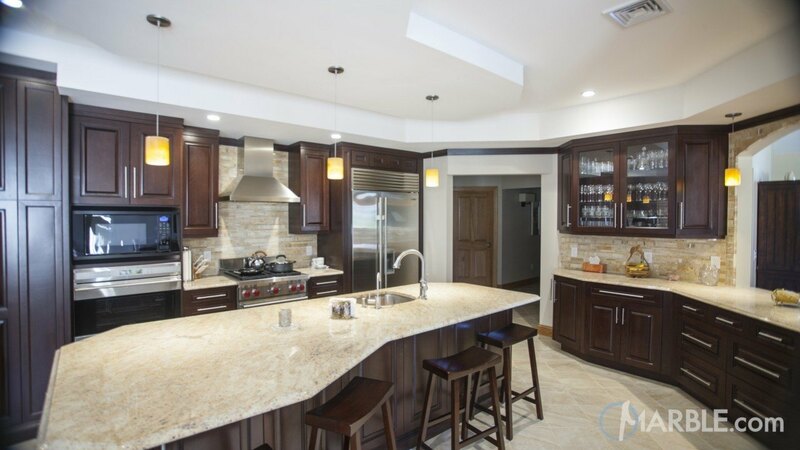 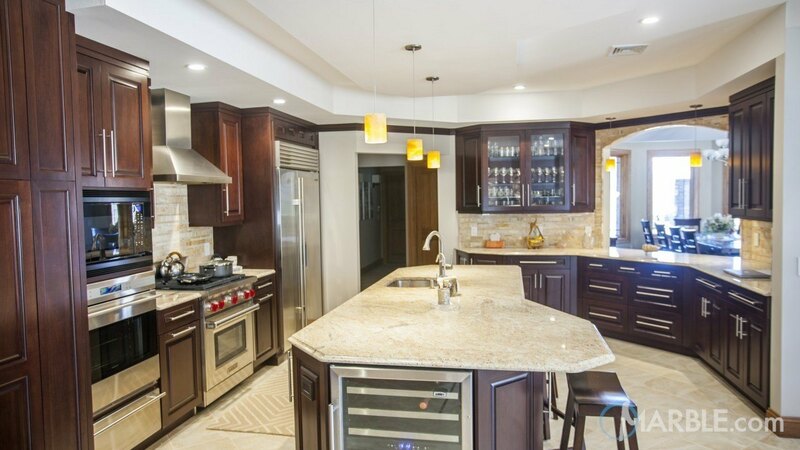 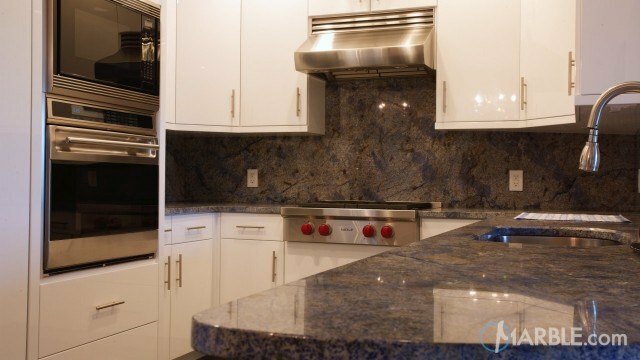 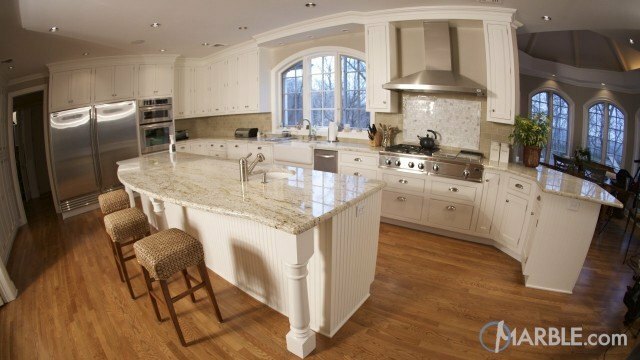 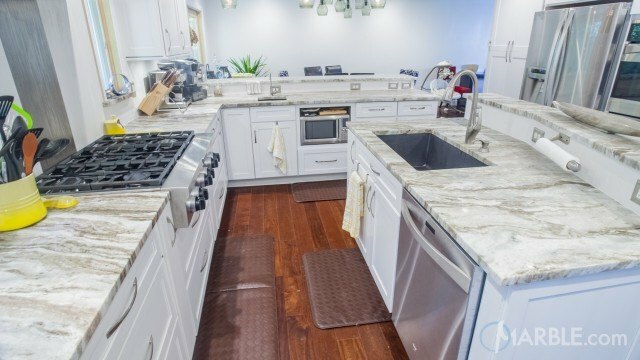 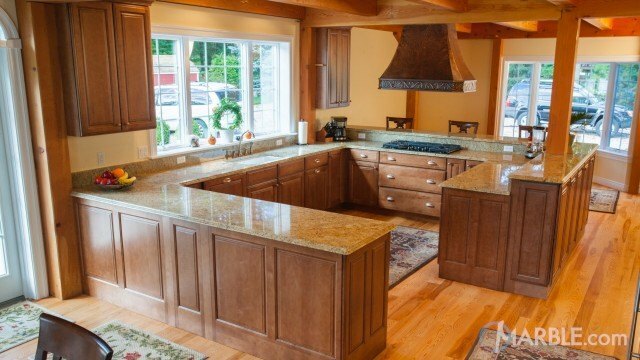 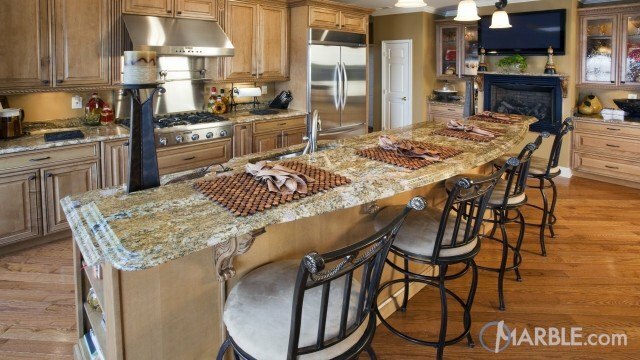 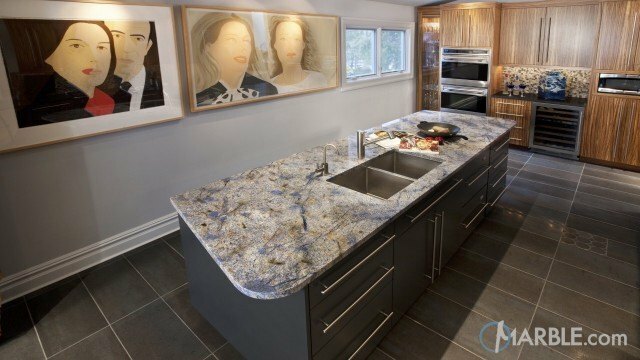 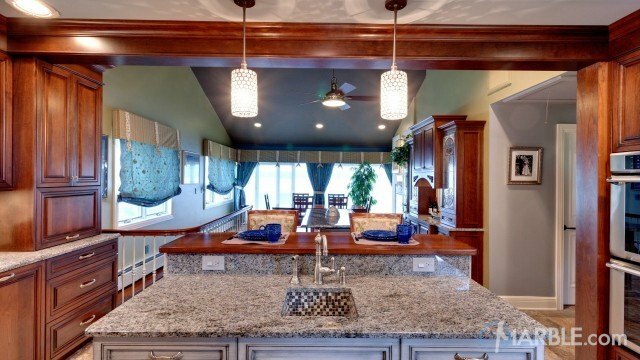 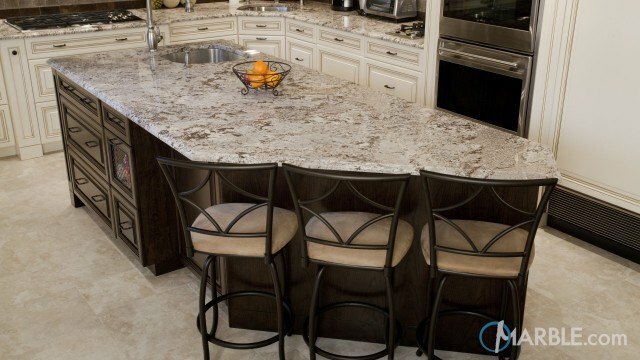 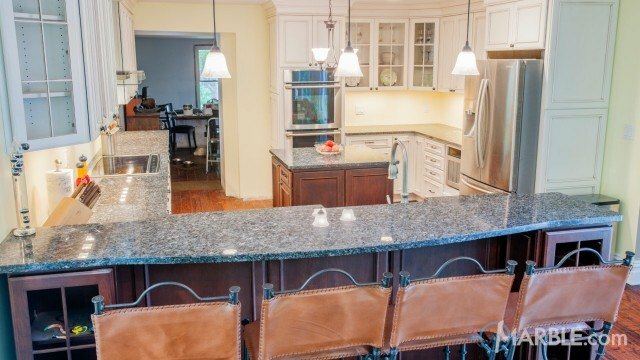 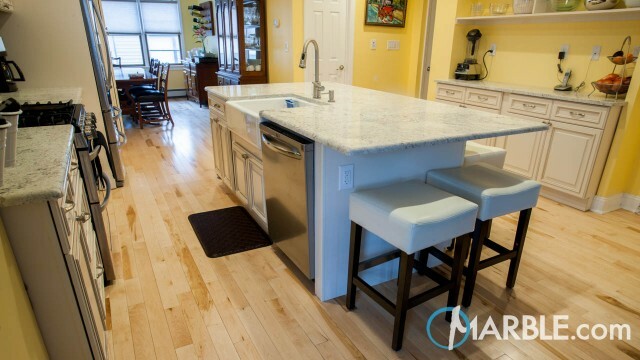 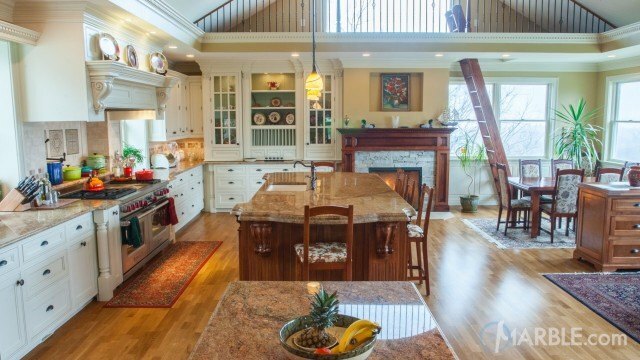 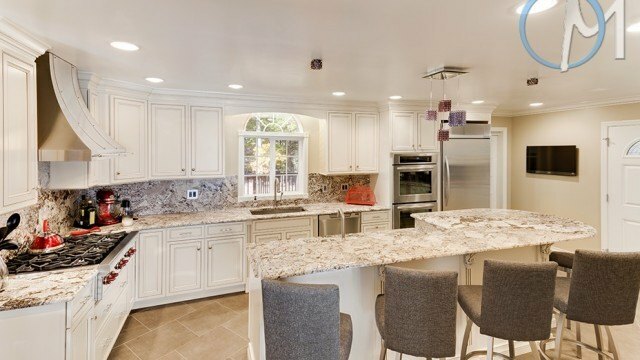 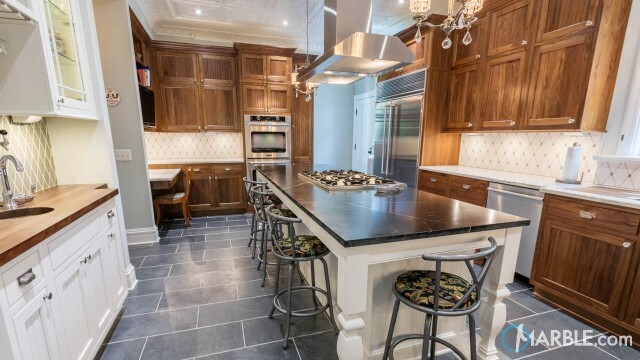 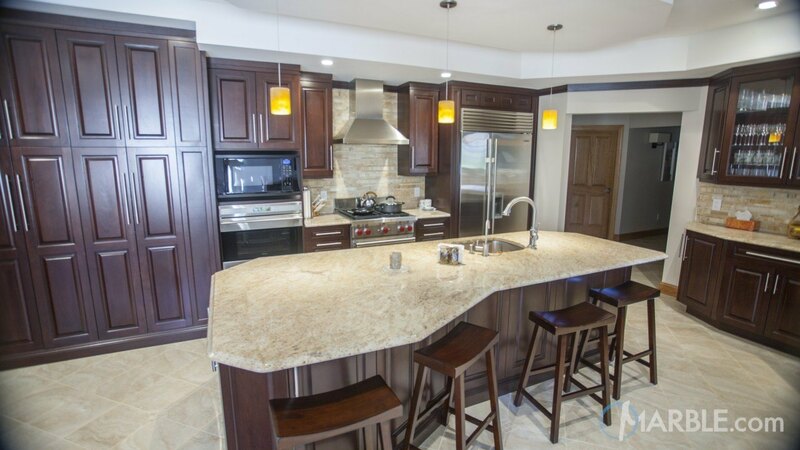 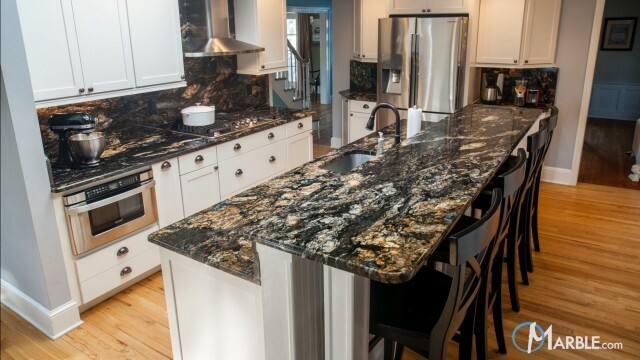 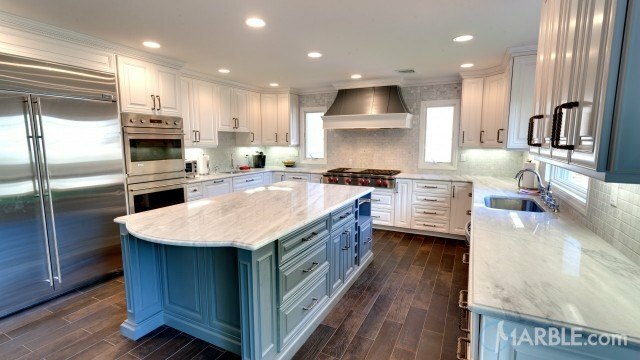 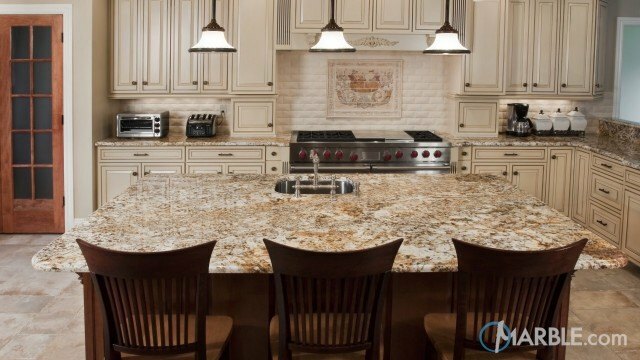 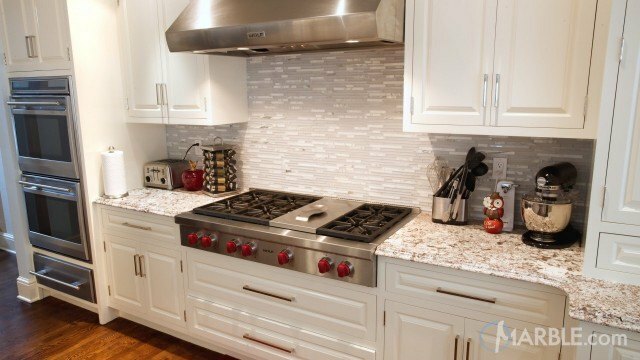 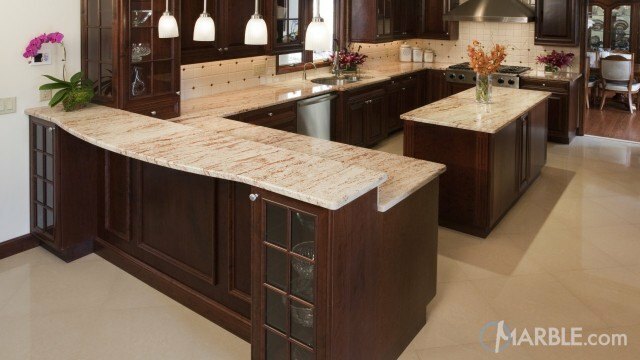 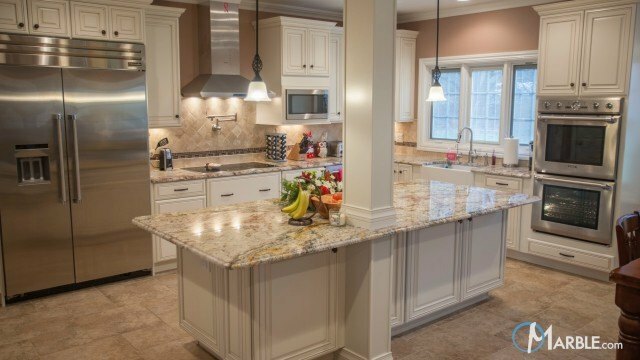 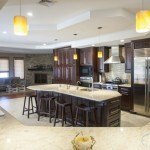 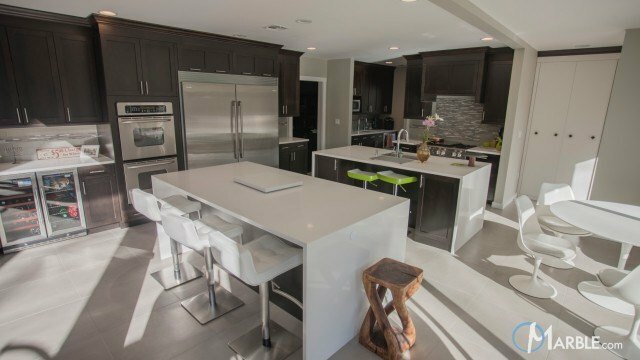 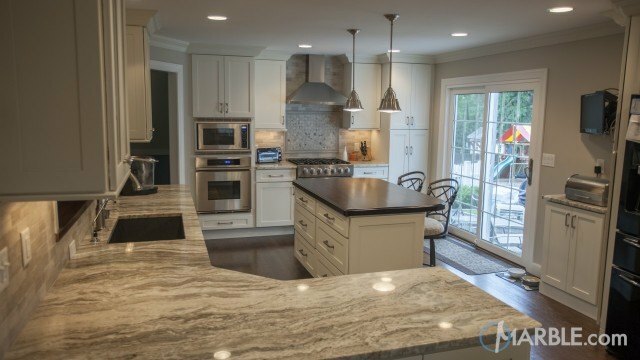 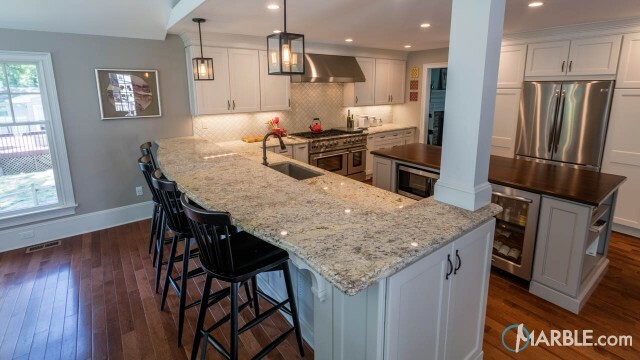 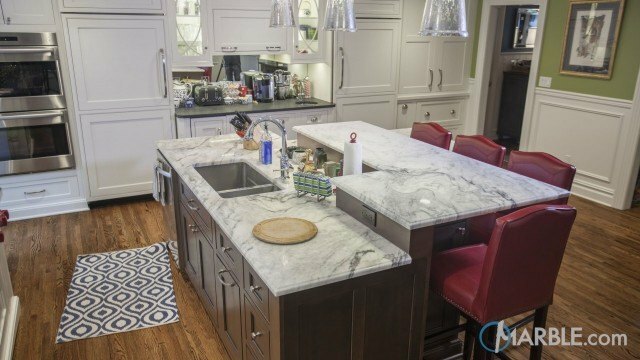 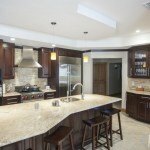 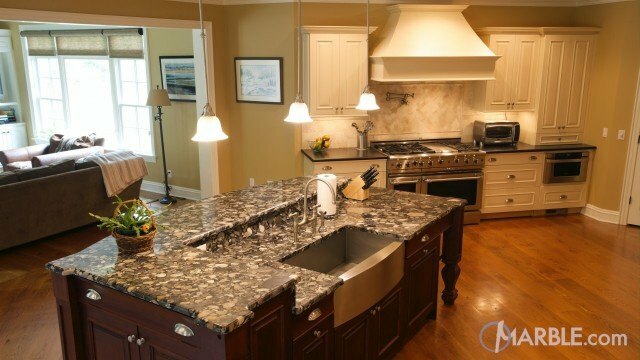 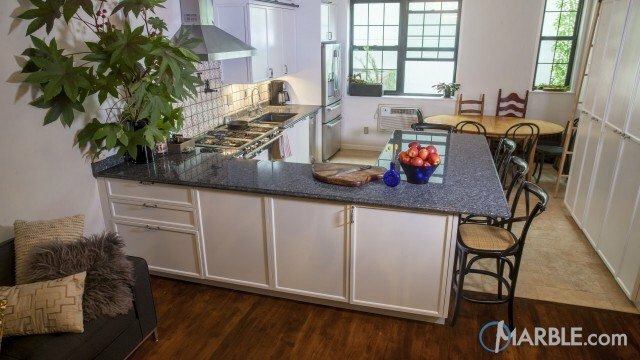 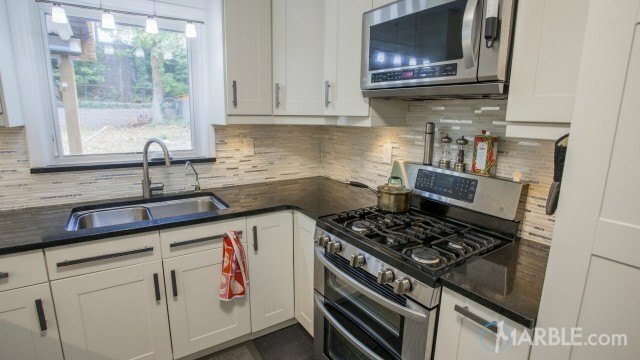 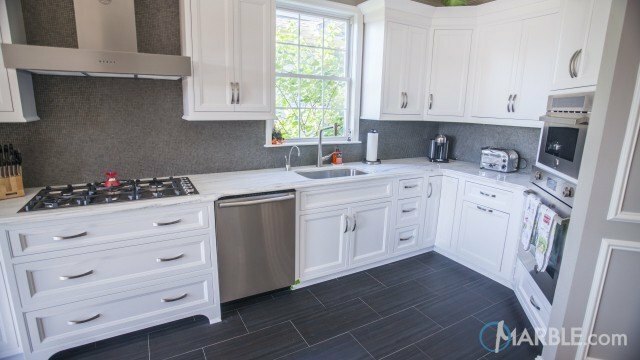 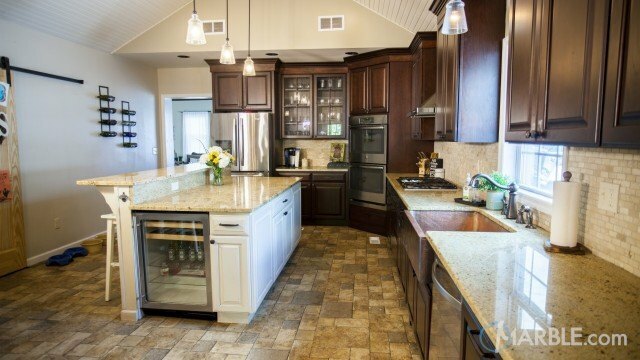 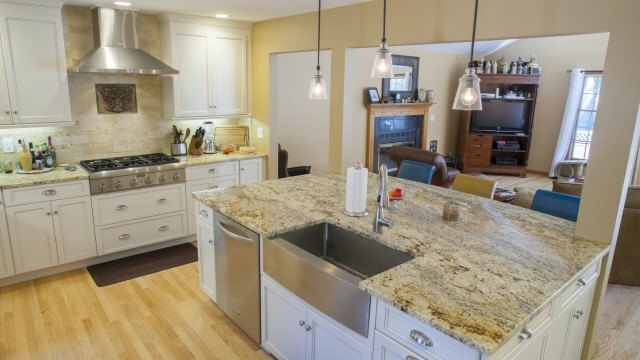 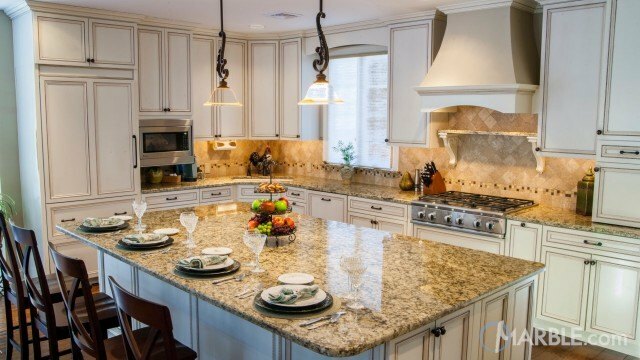 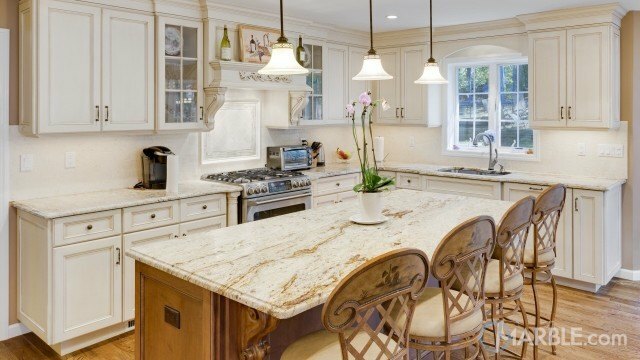 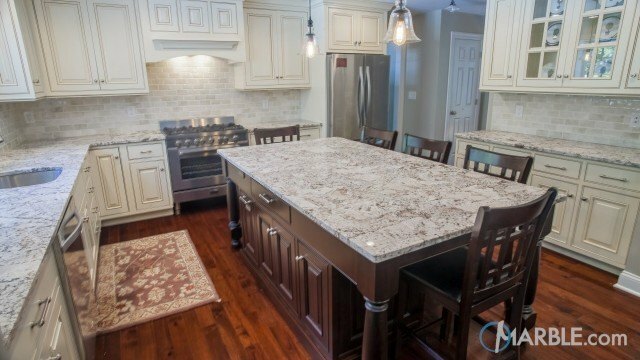 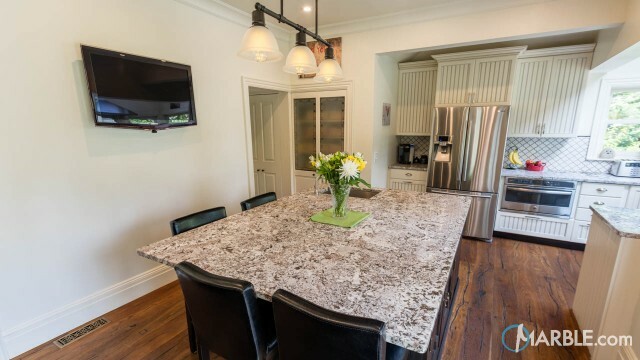 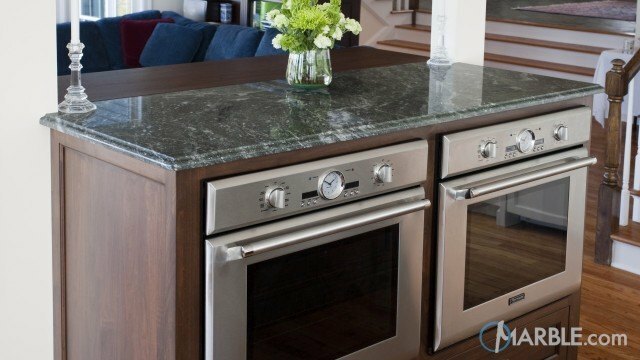 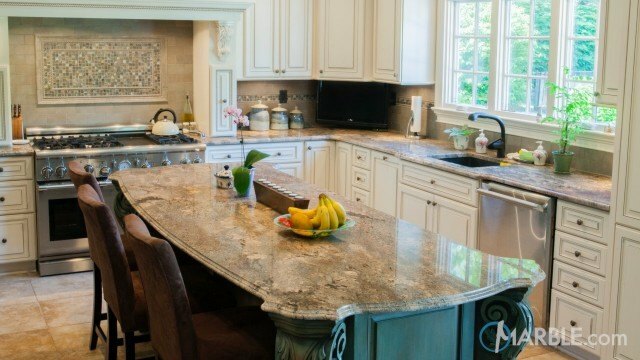 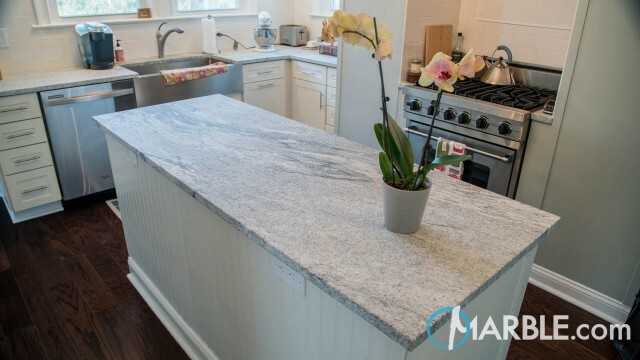 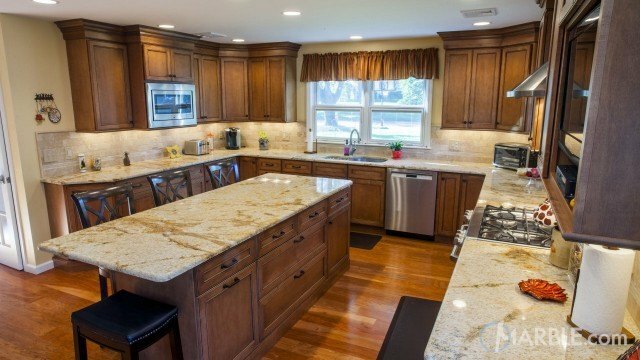 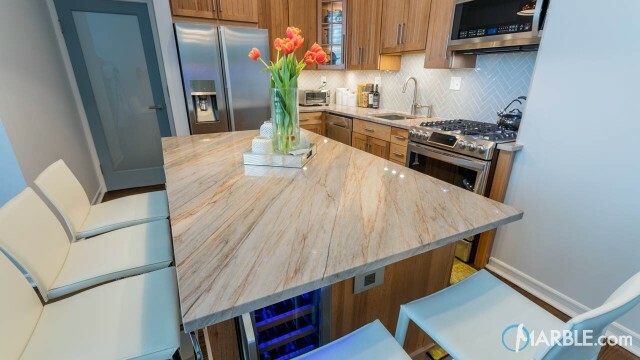 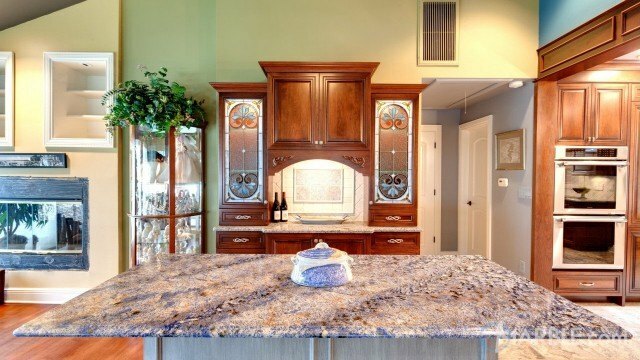 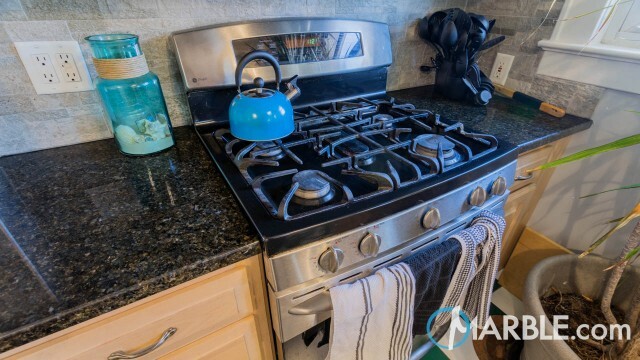 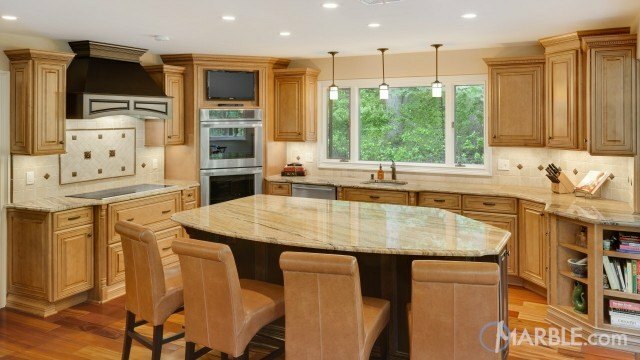 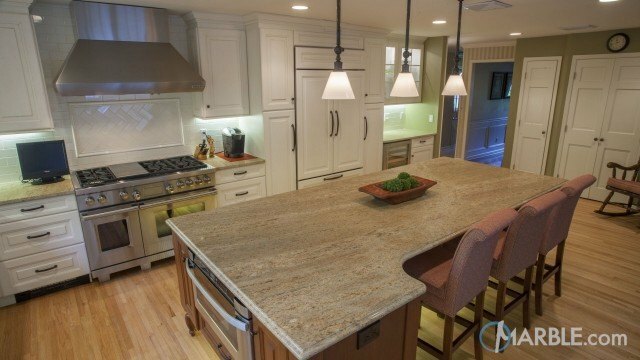 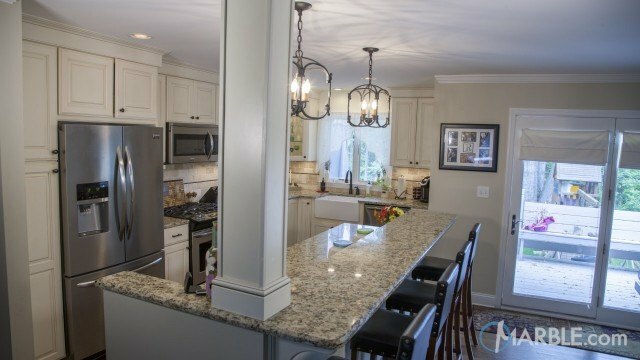 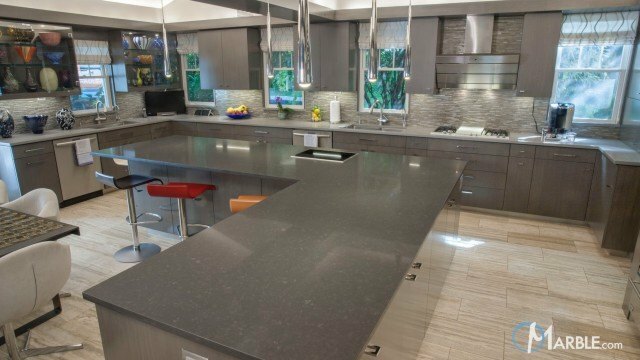 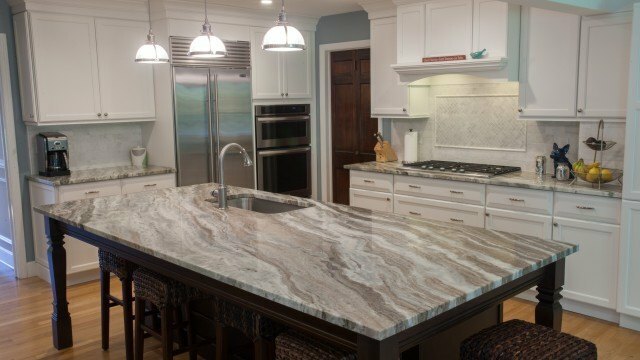 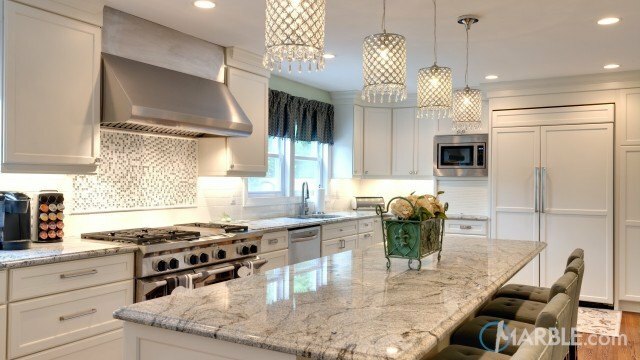 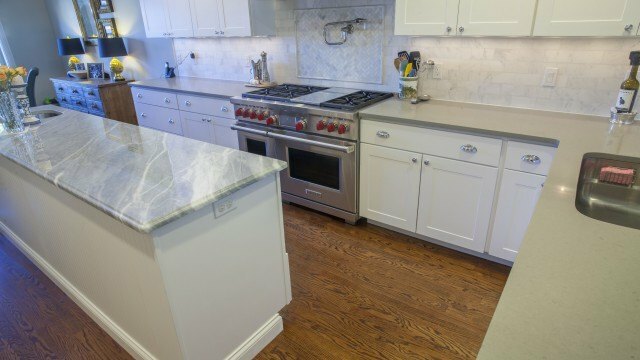 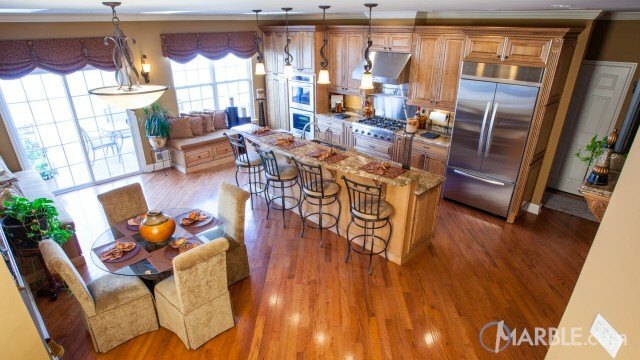 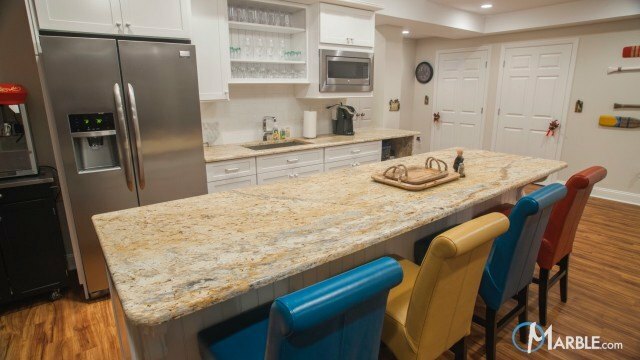 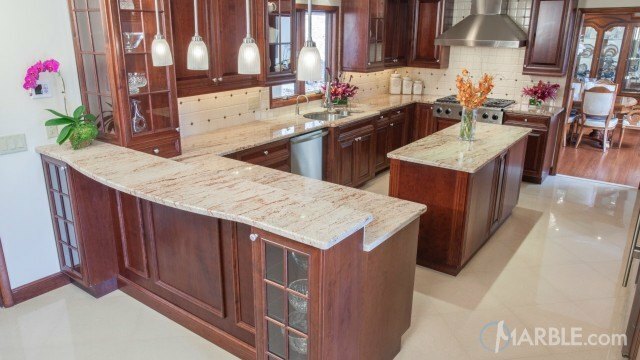 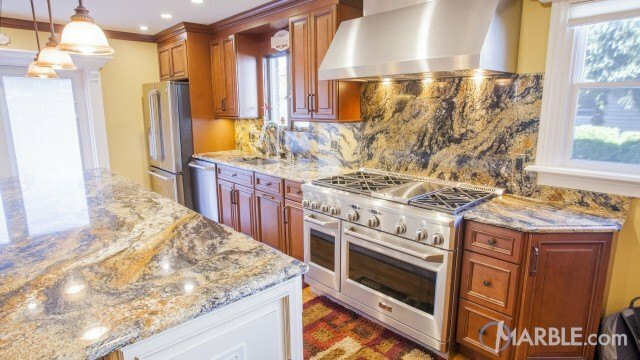 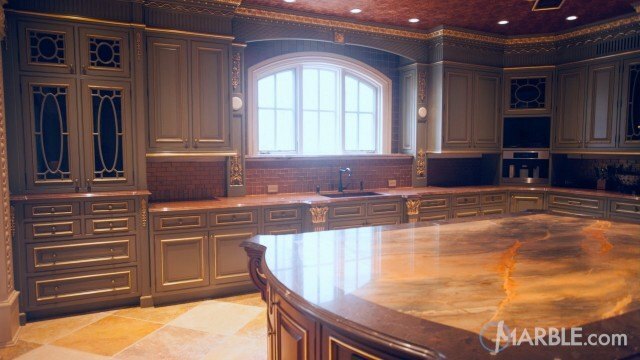 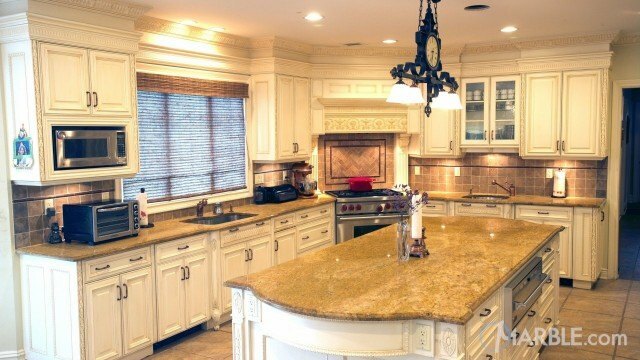 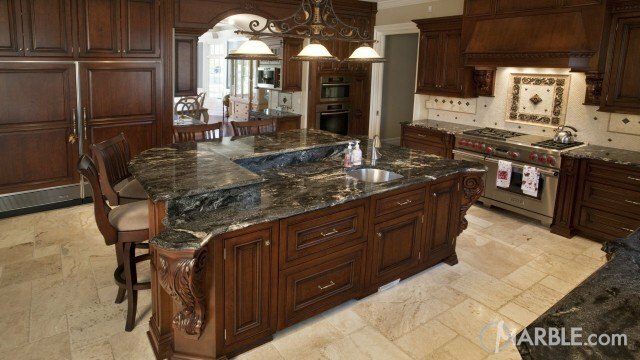 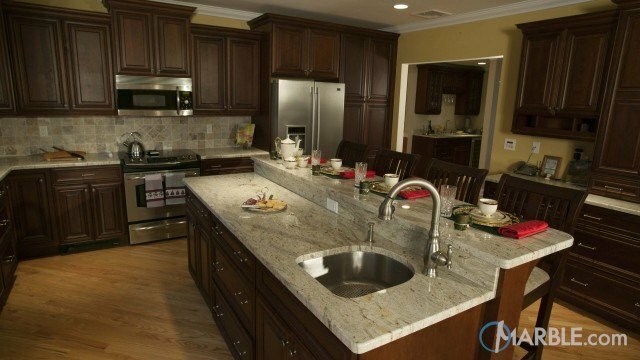 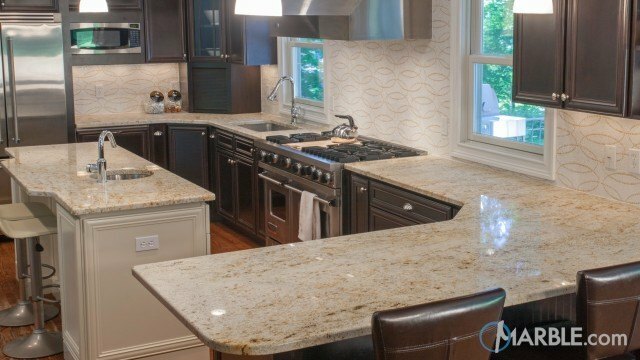 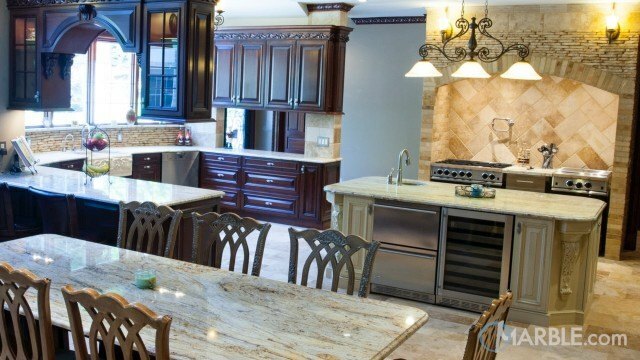 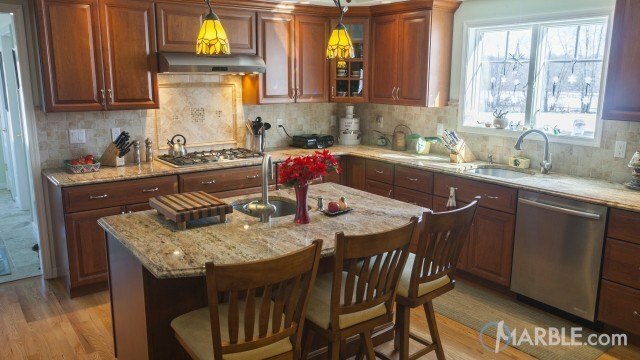 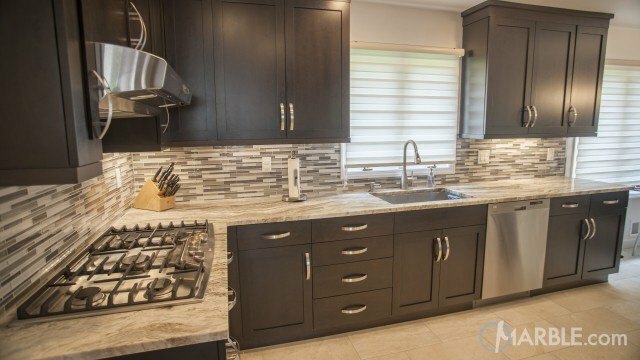 The island is subdivided with a bump out, which separates the cooking stations to the eating areas. 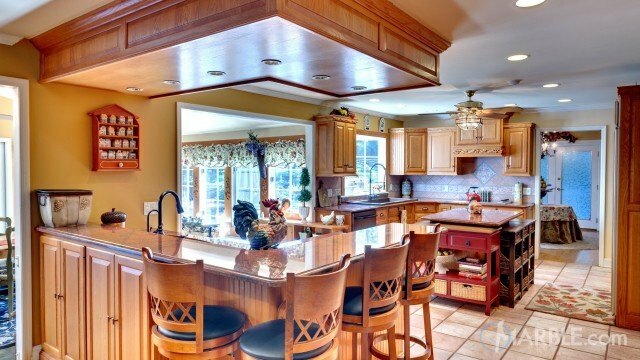 The wall cut out allows the space to feel open and allows easy access to the main dinner area. 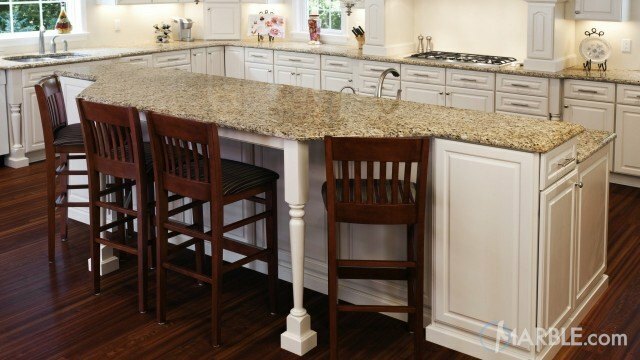 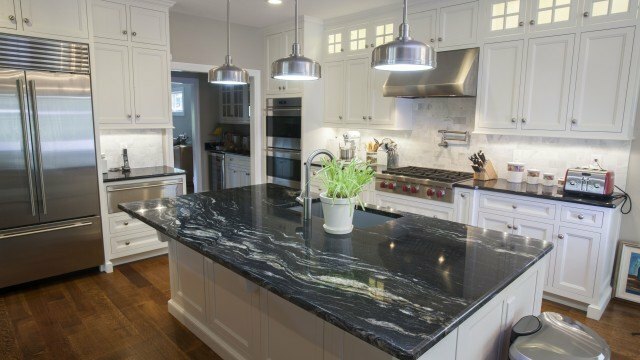 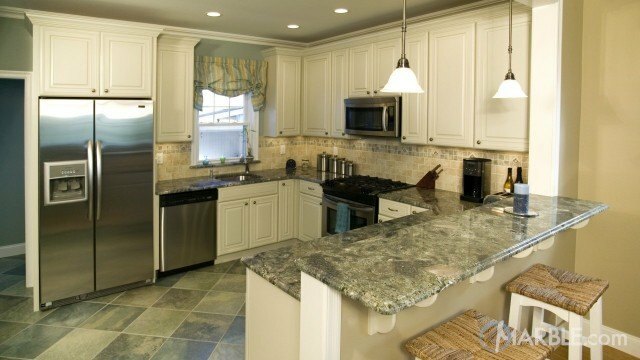 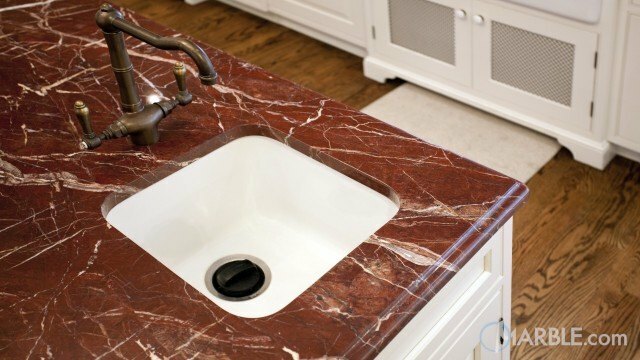 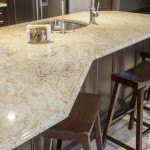 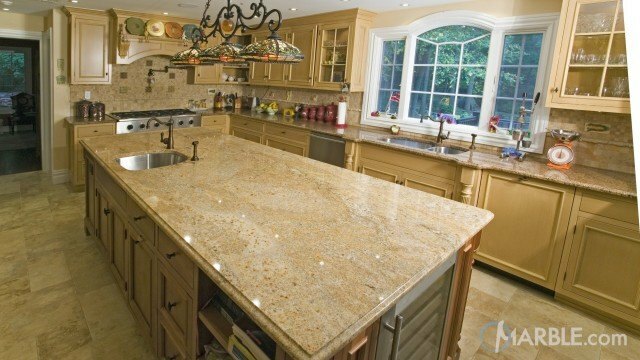 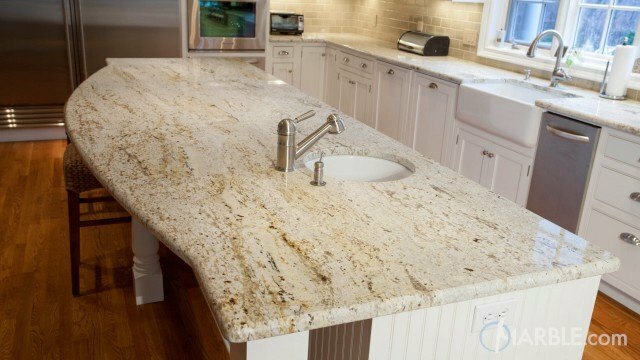 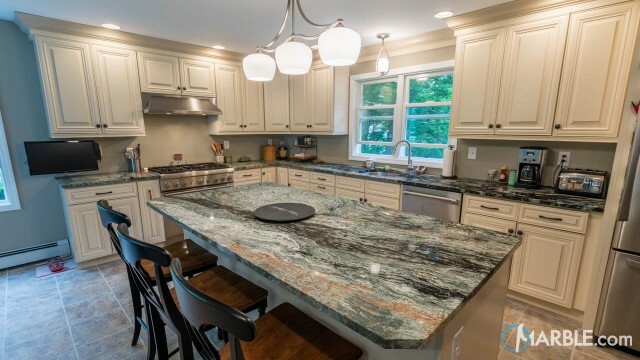 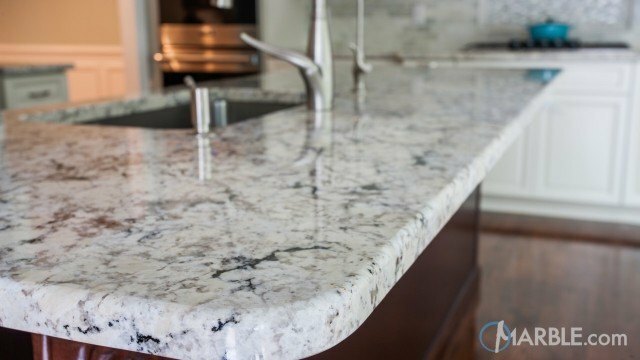 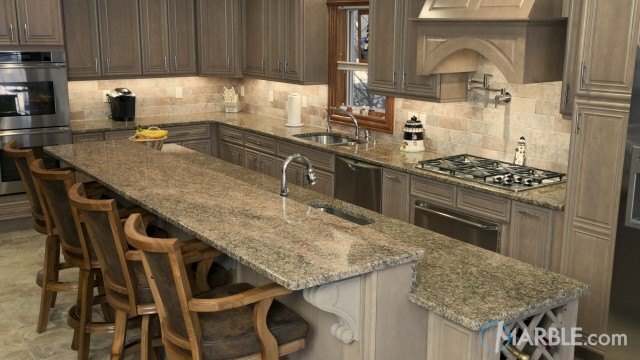 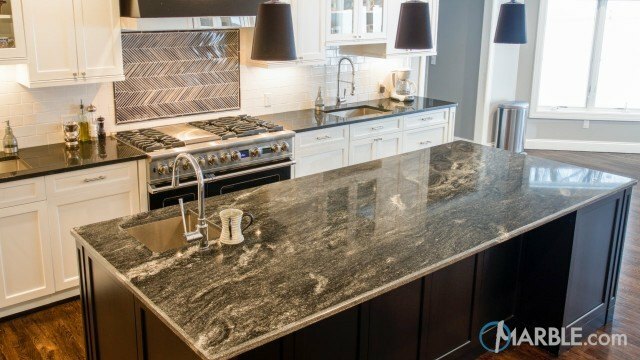 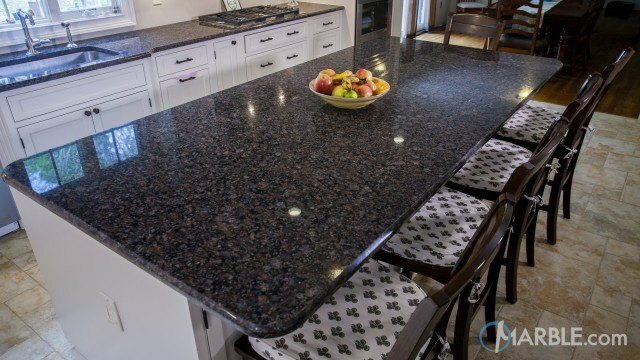 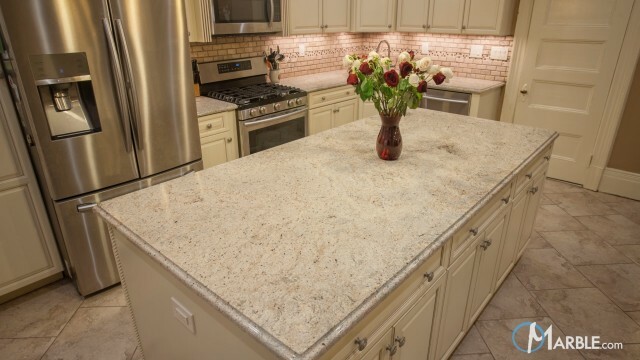 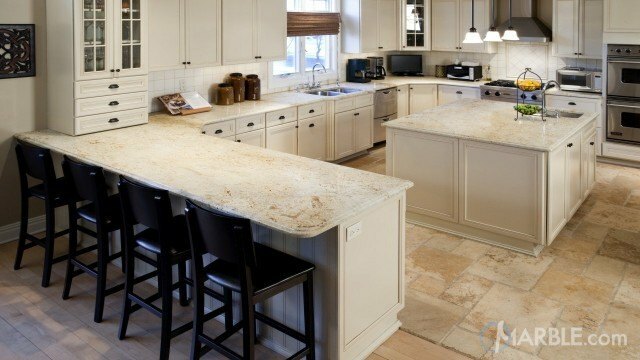 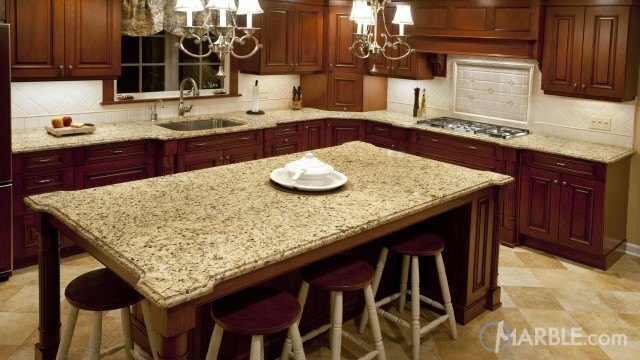 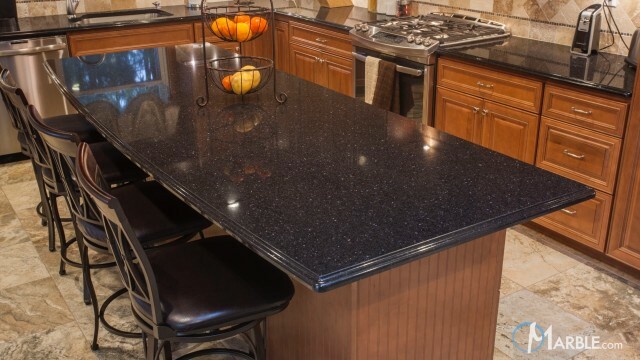 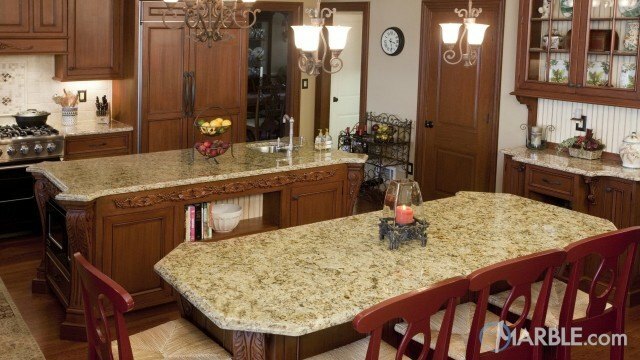 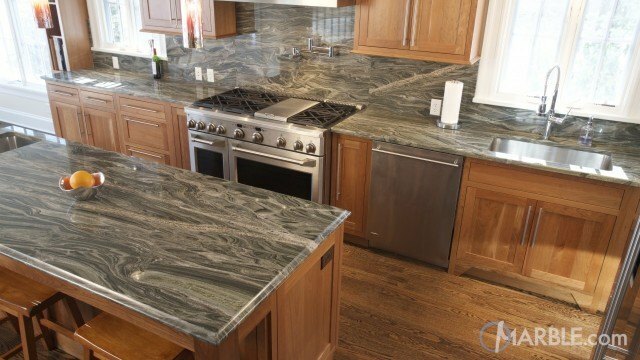 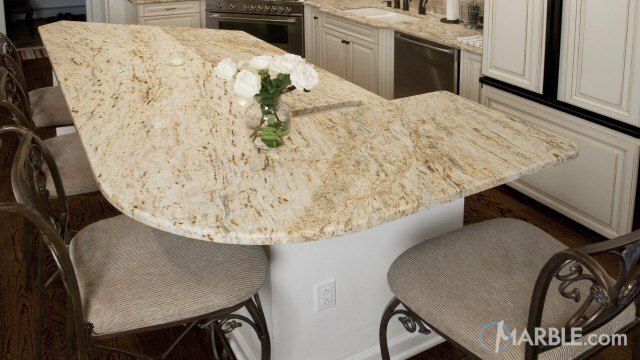 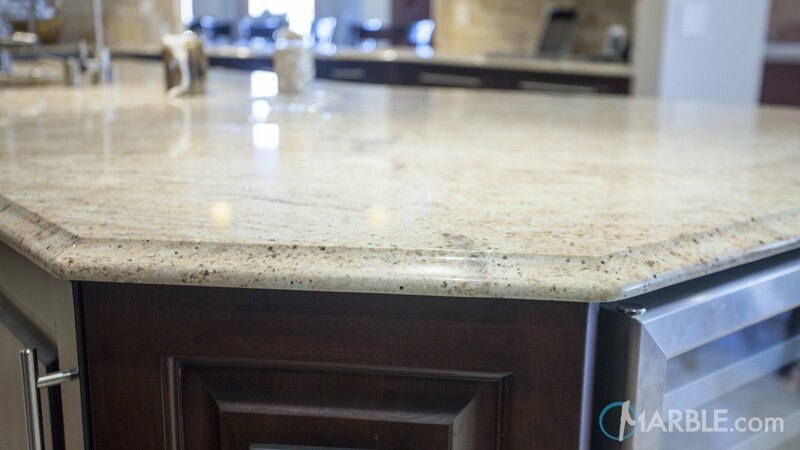 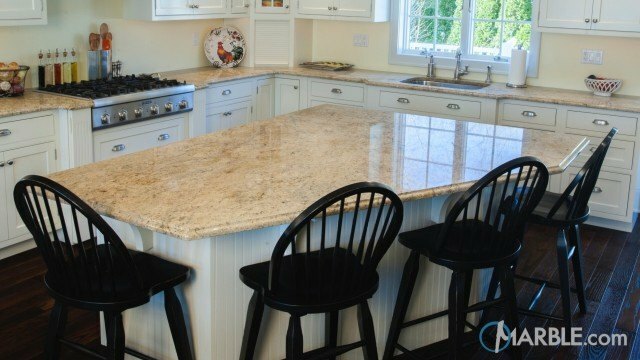 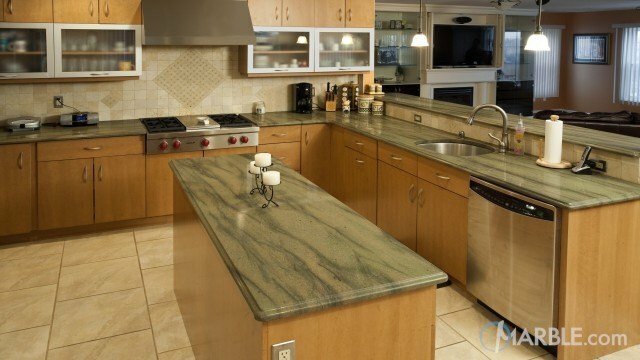 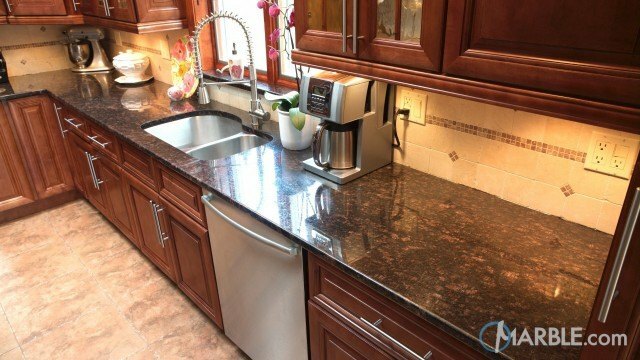 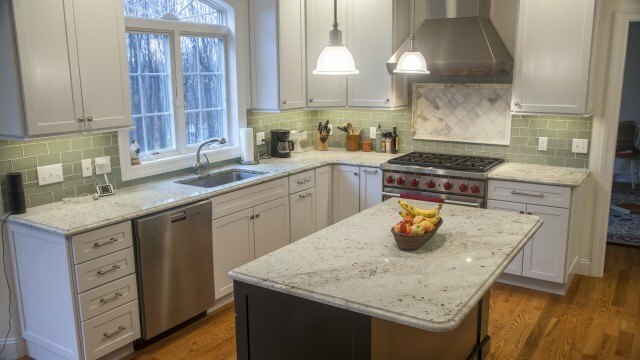 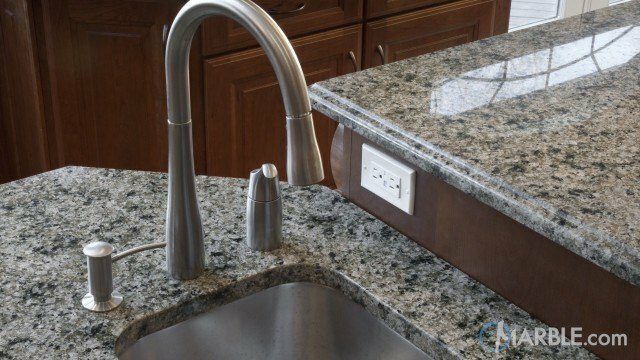 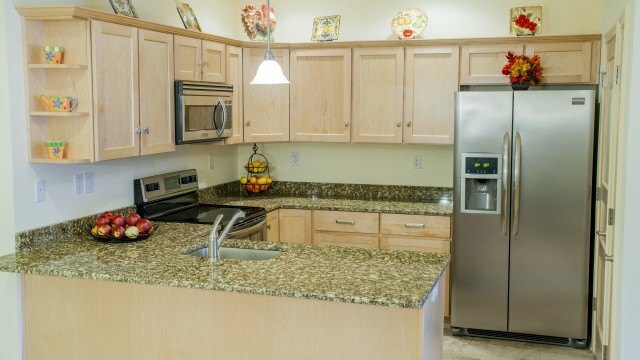 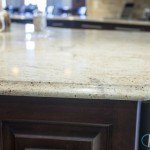 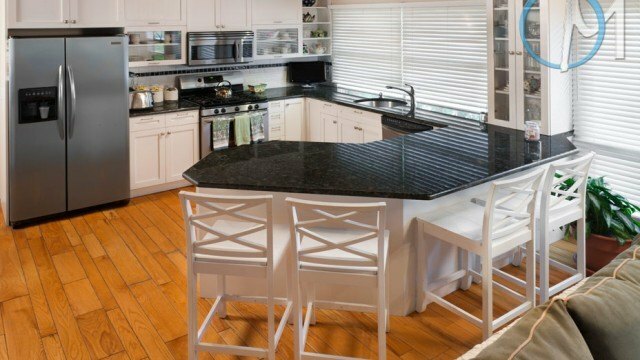 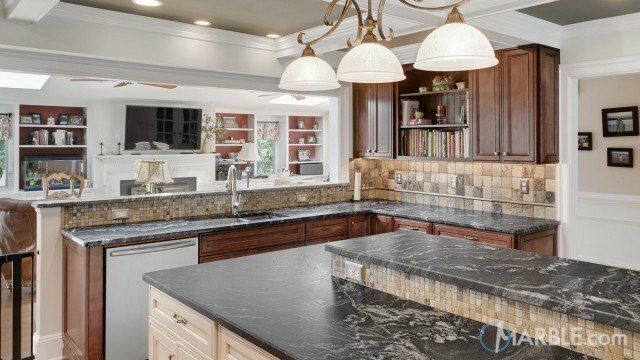 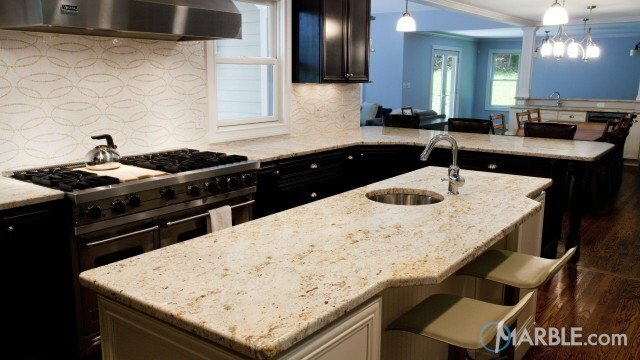 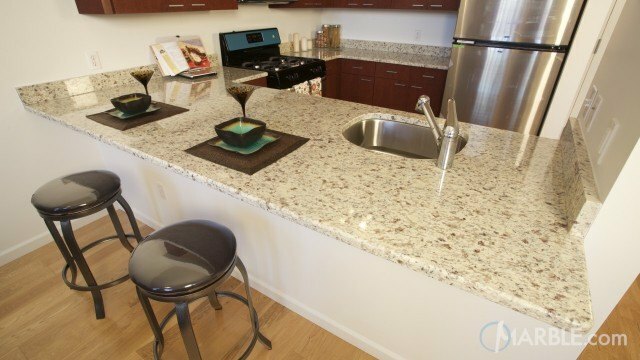 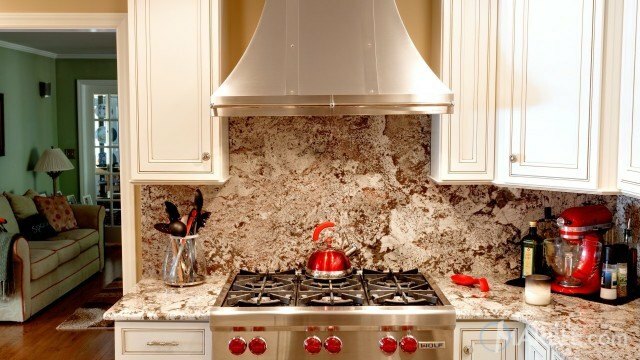 Lighter creamer colored granites such as this Colonial Dream granite are commonly used in commercial spaces to help conceal crumbs.